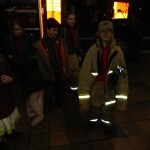 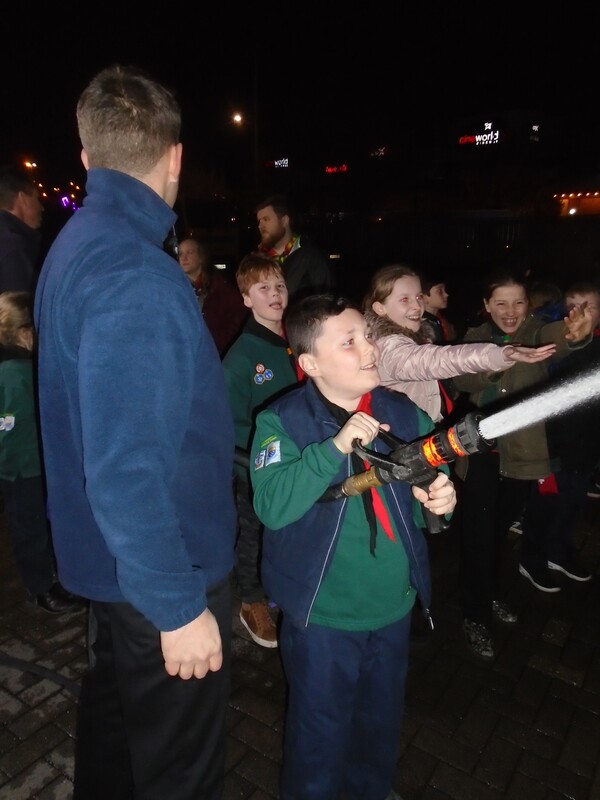 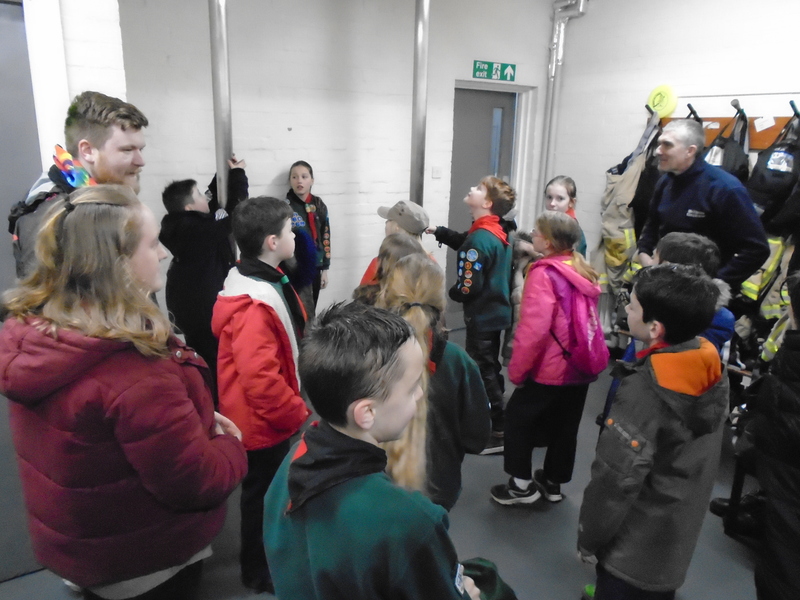 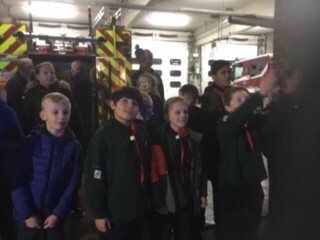 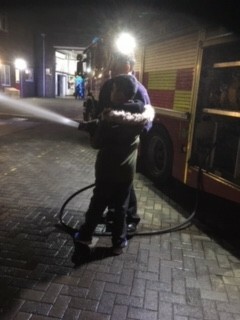 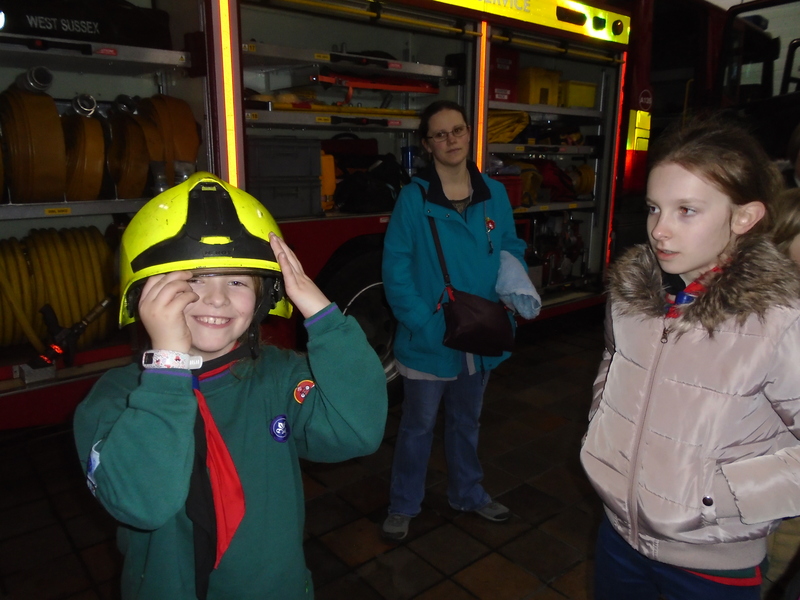 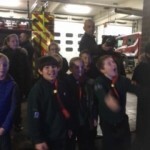 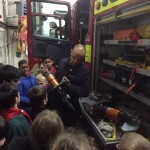 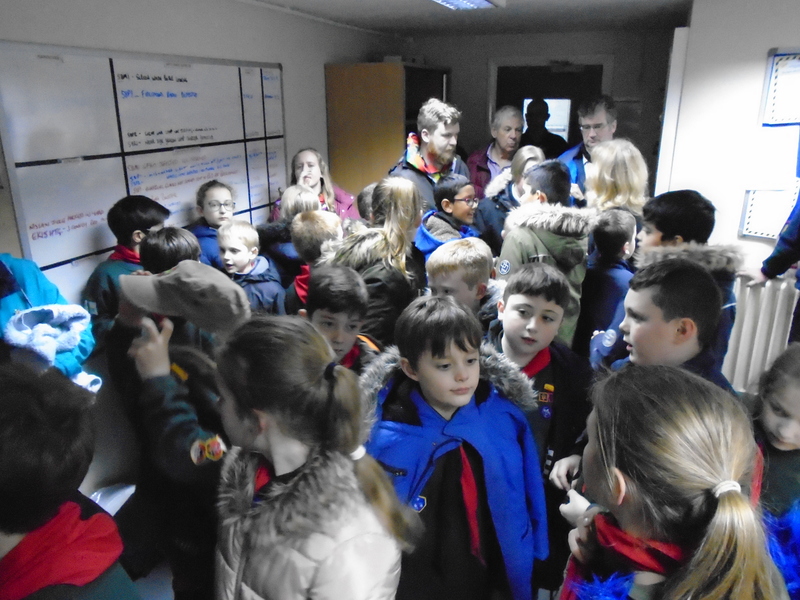 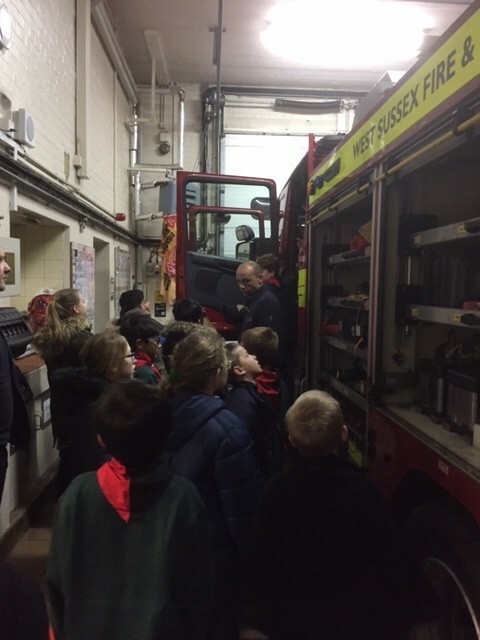 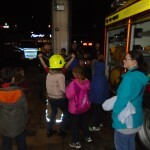 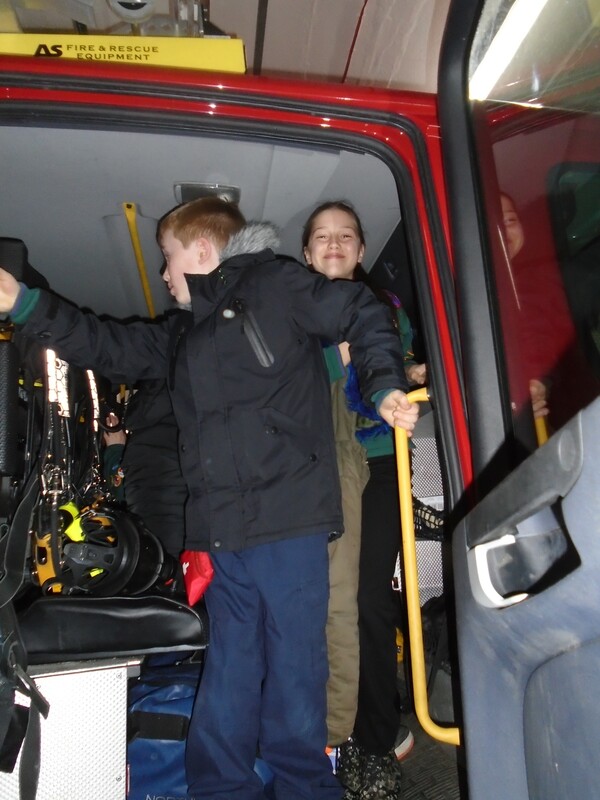 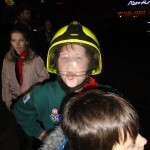 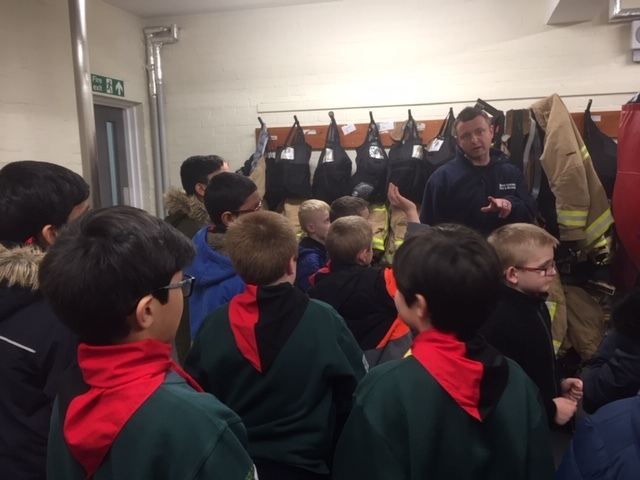 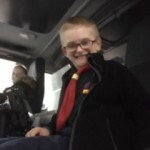 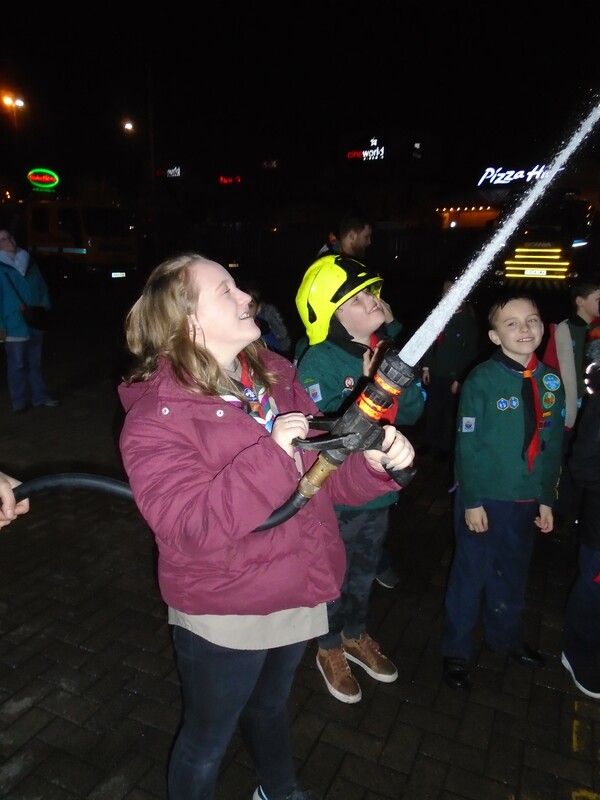 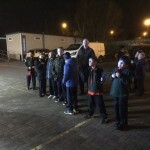 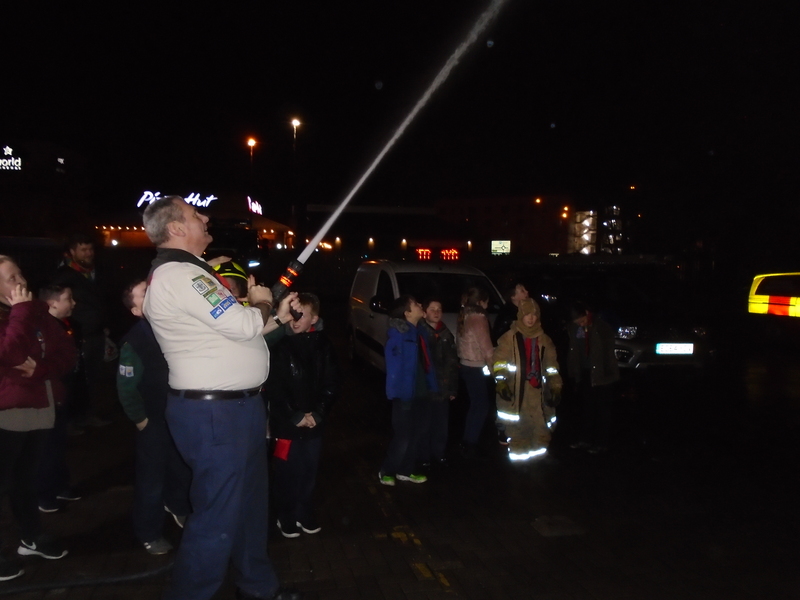 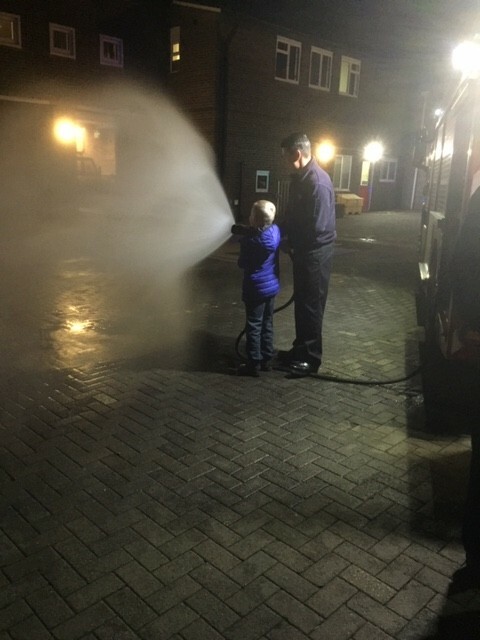 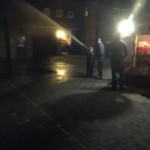 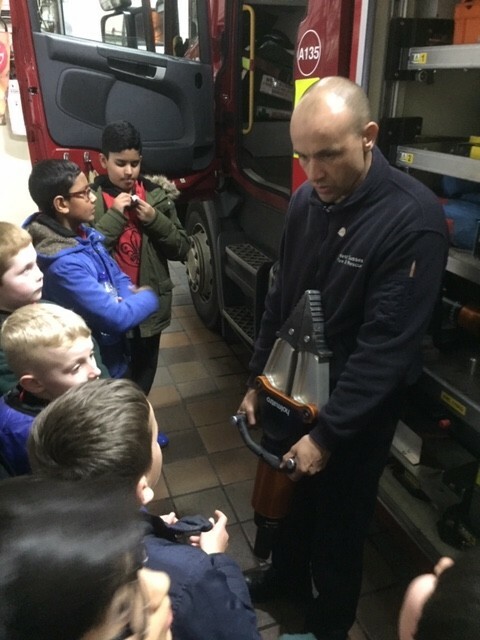 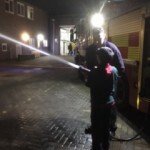 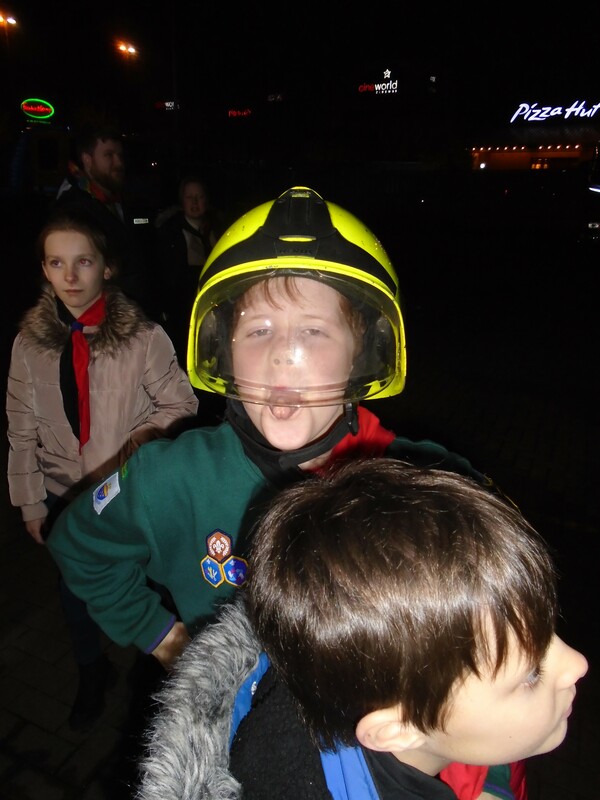 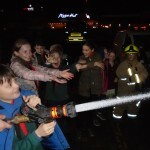 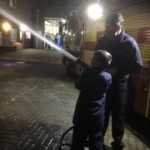 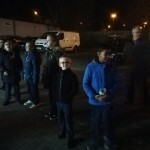 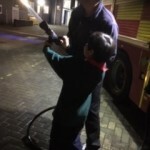 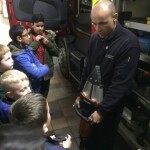 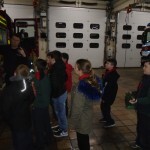 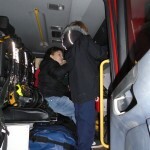 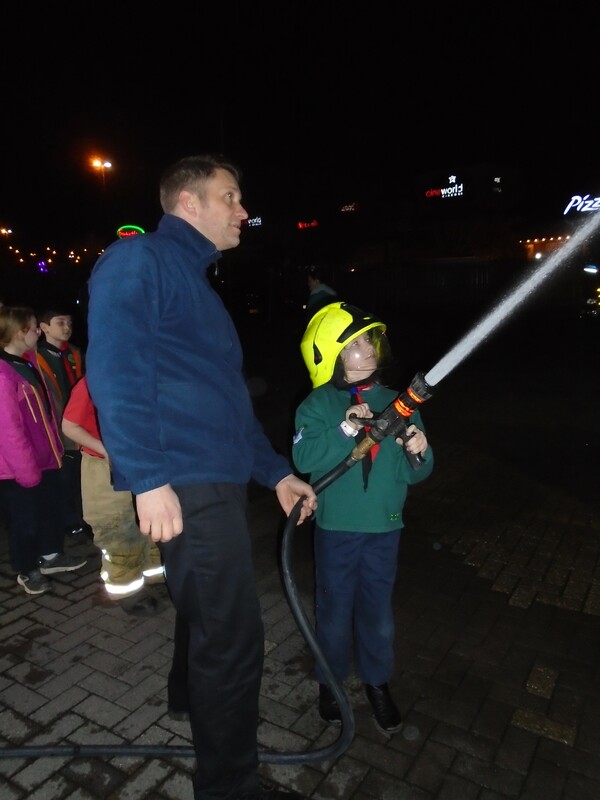 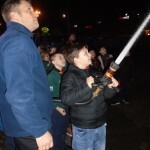 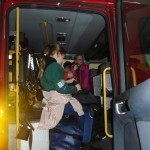 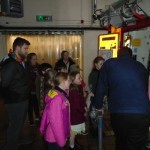 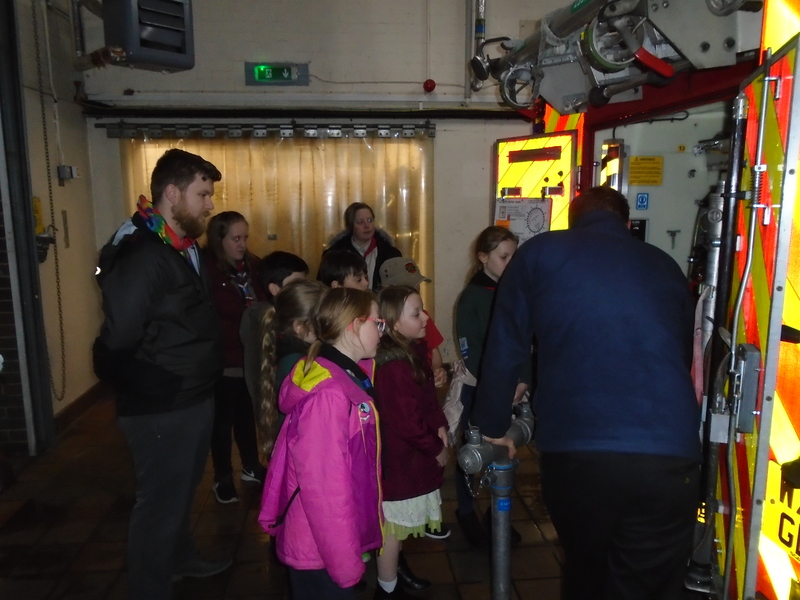 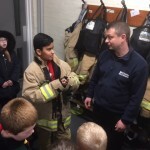 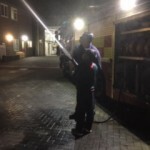 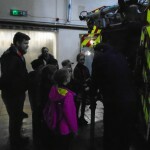 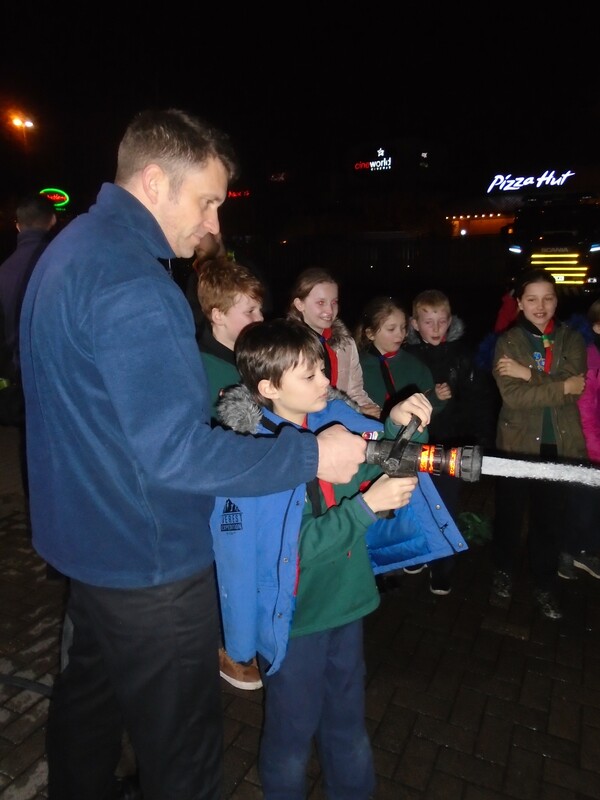 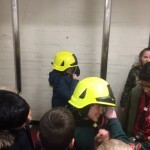 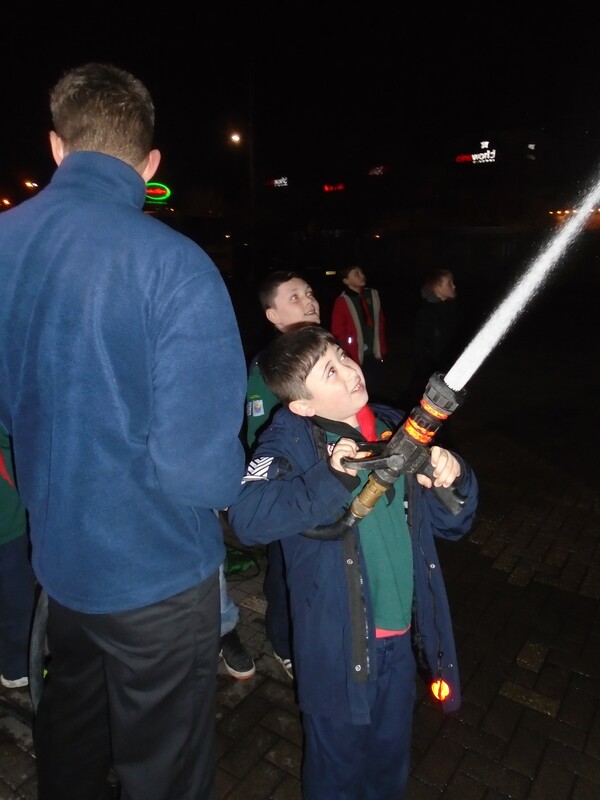 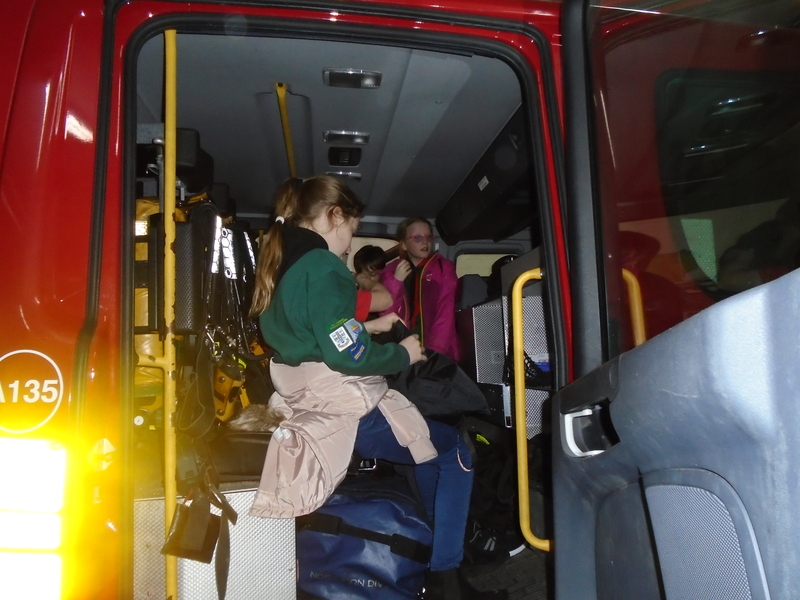 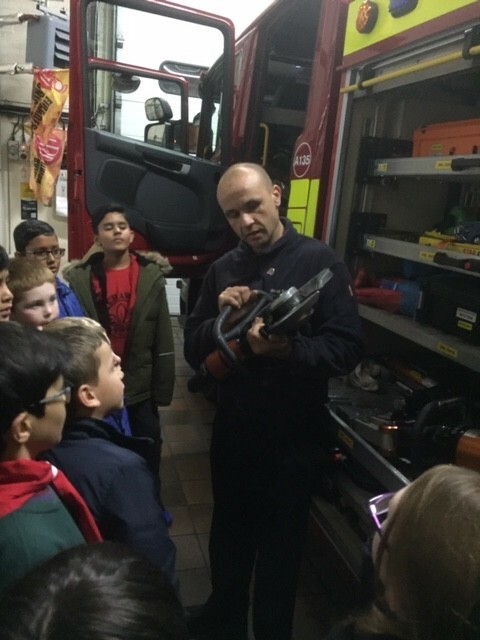 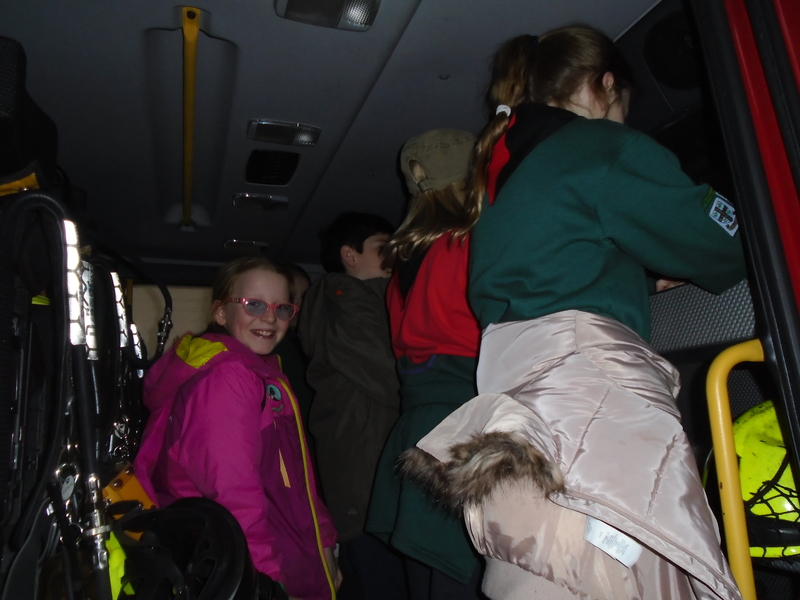 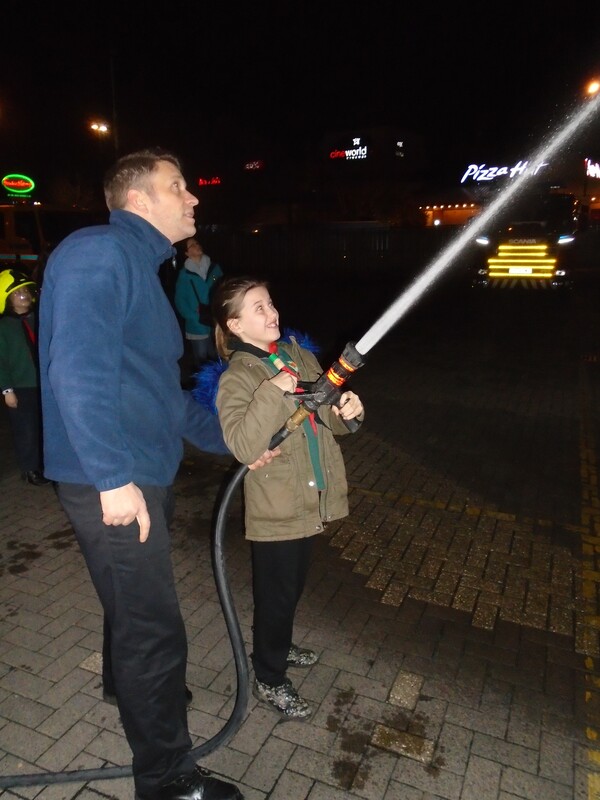 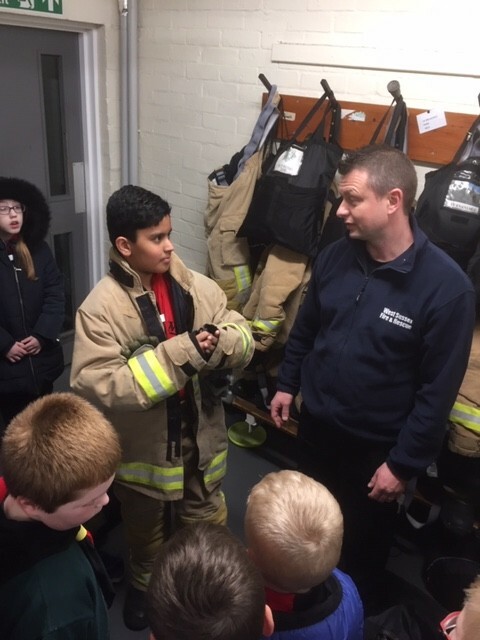 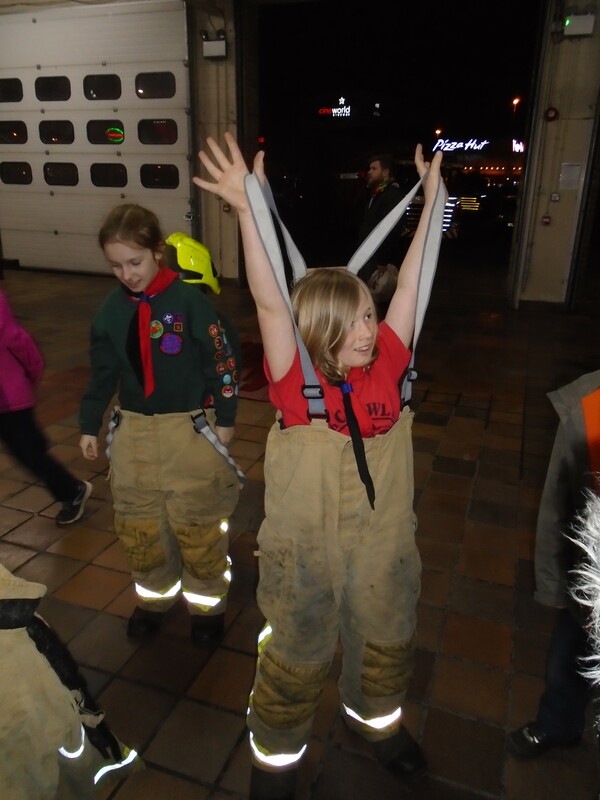 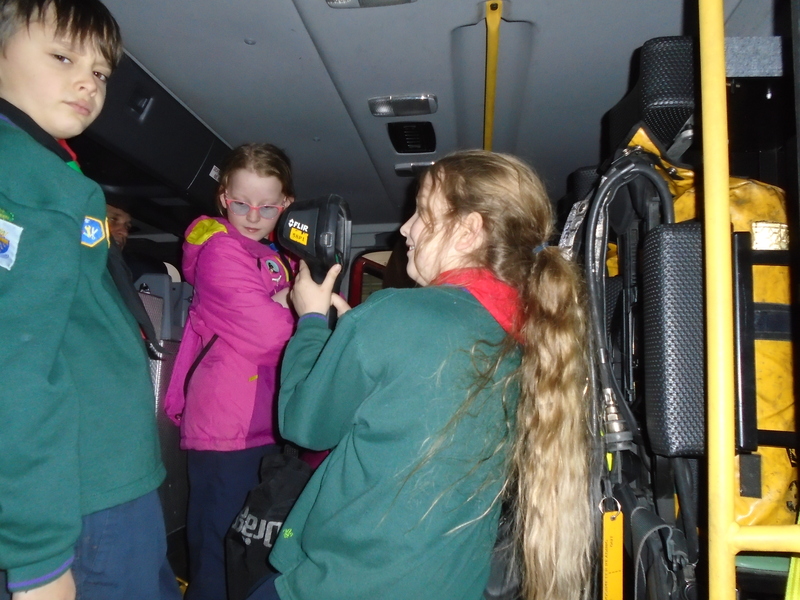 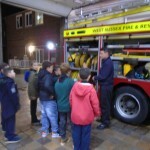 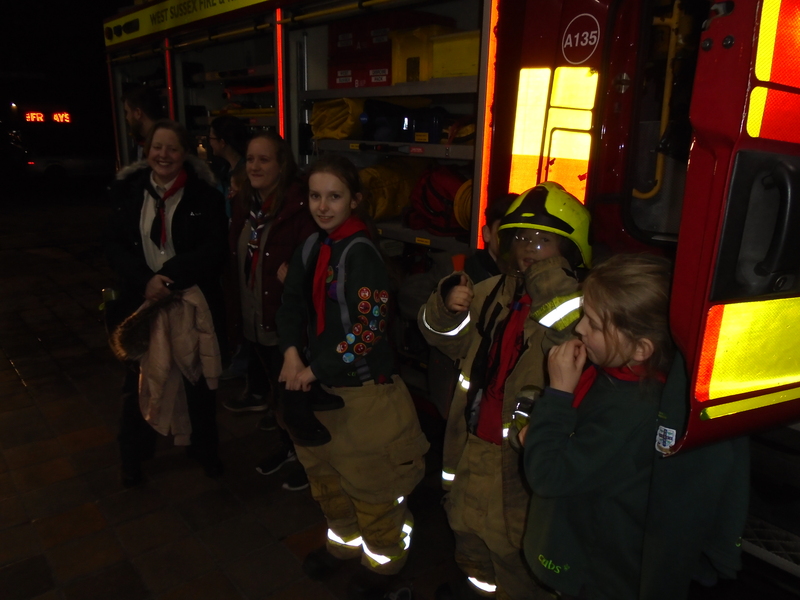 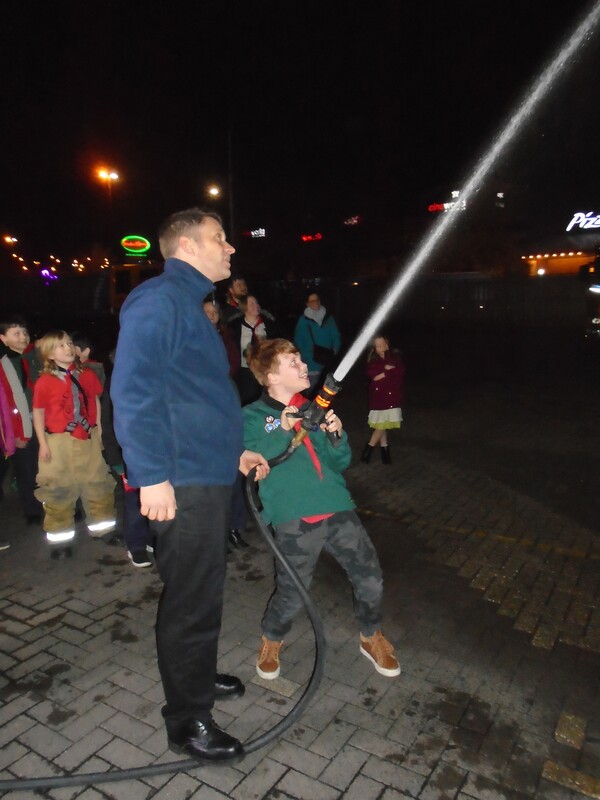 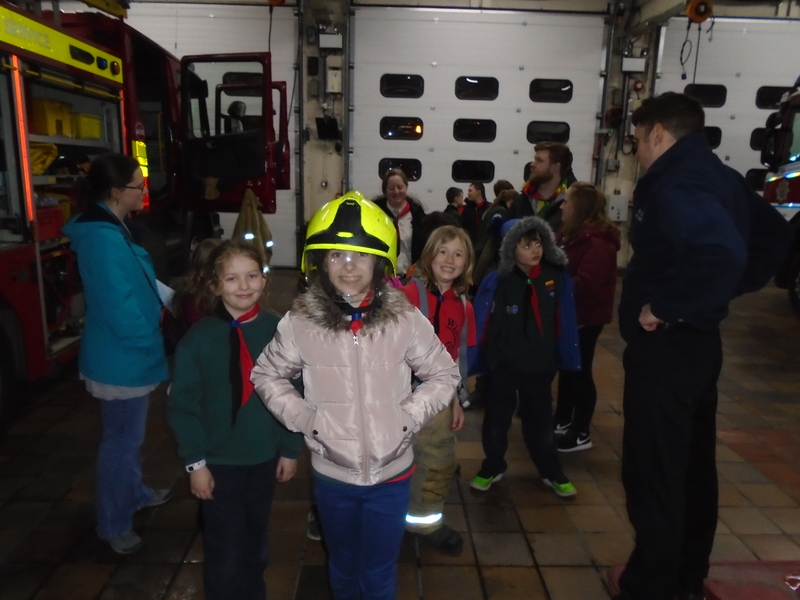 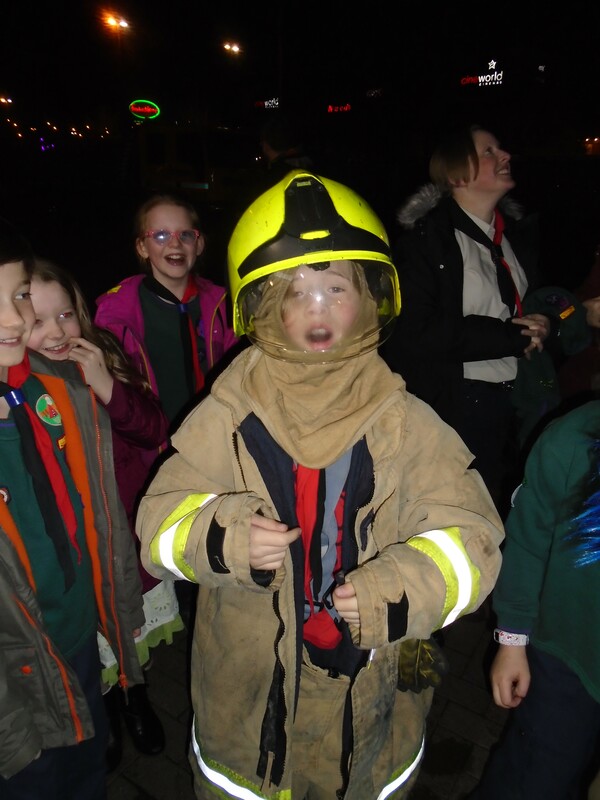 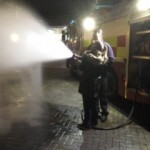 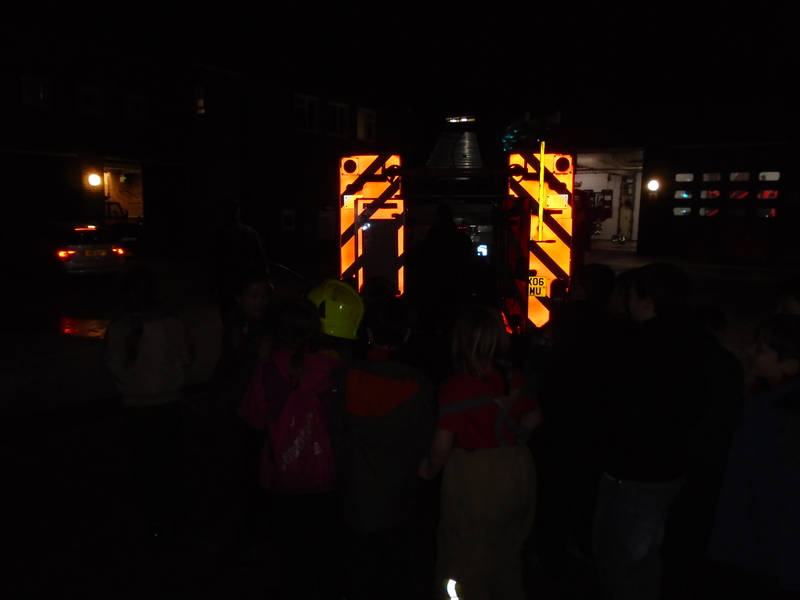 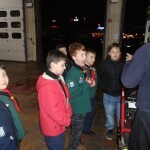 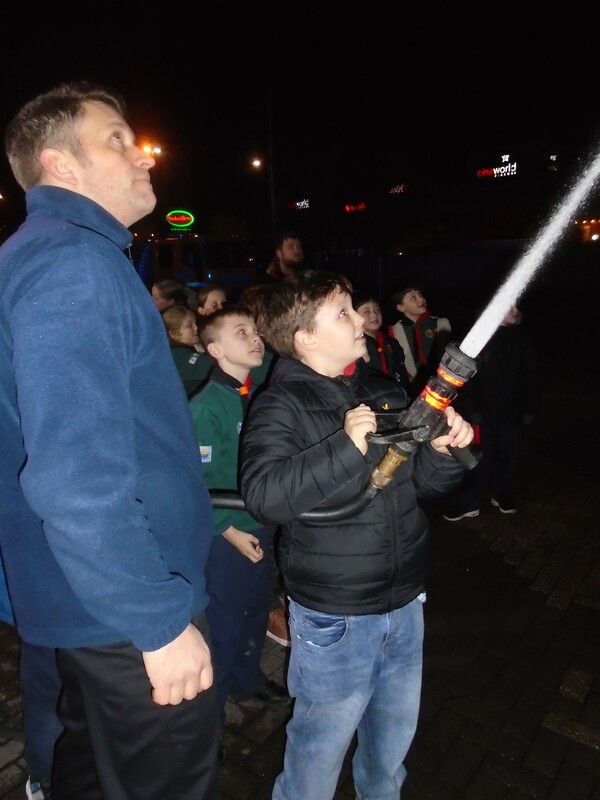 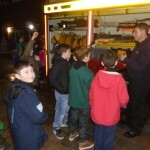 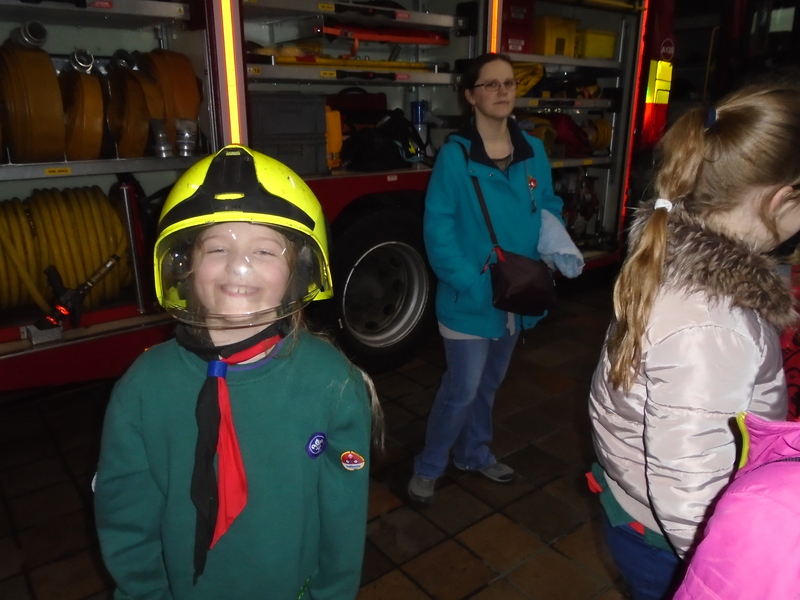 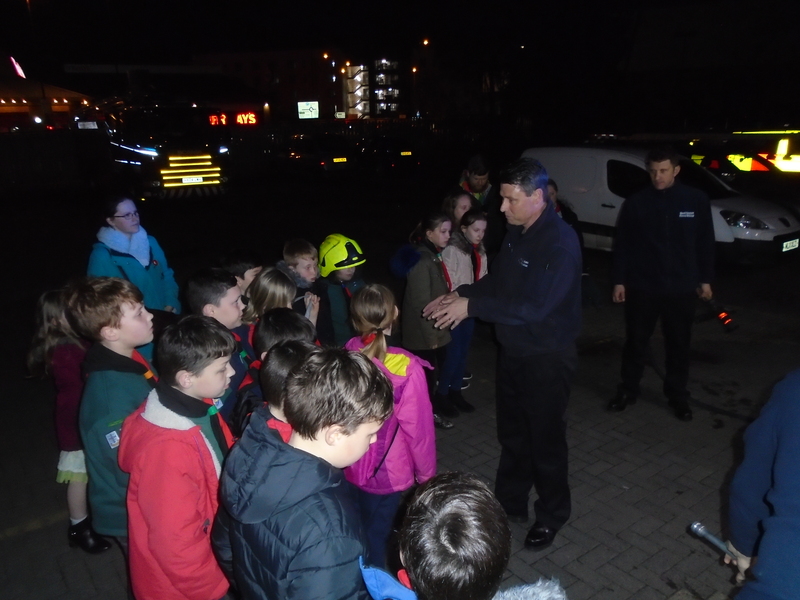 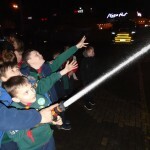 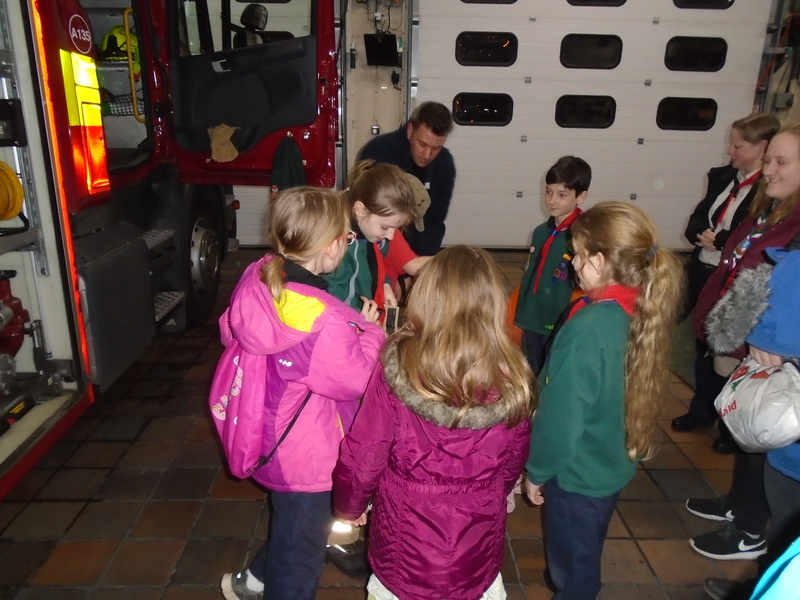 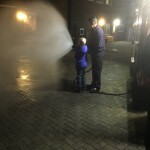 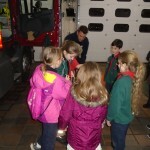 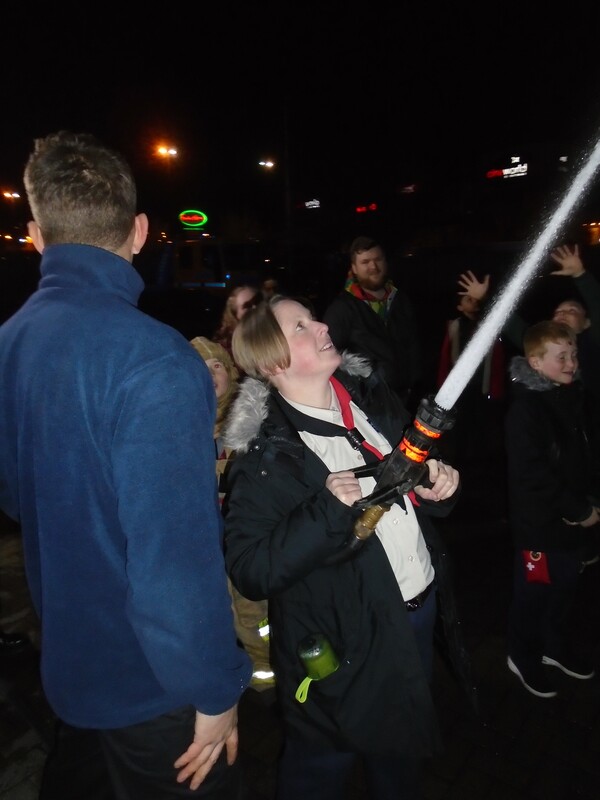 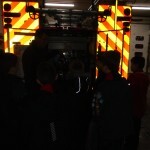 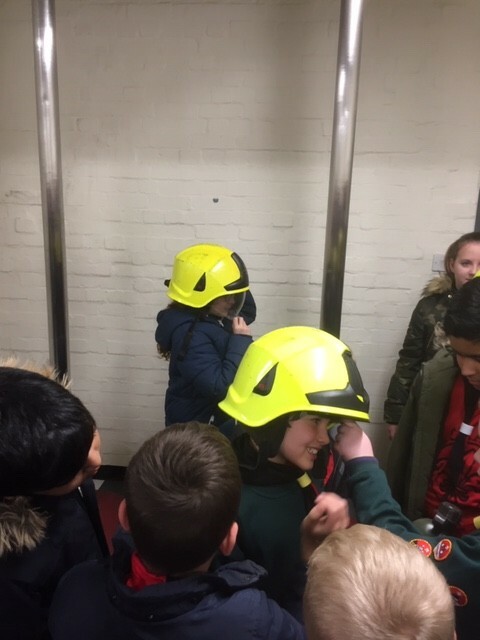 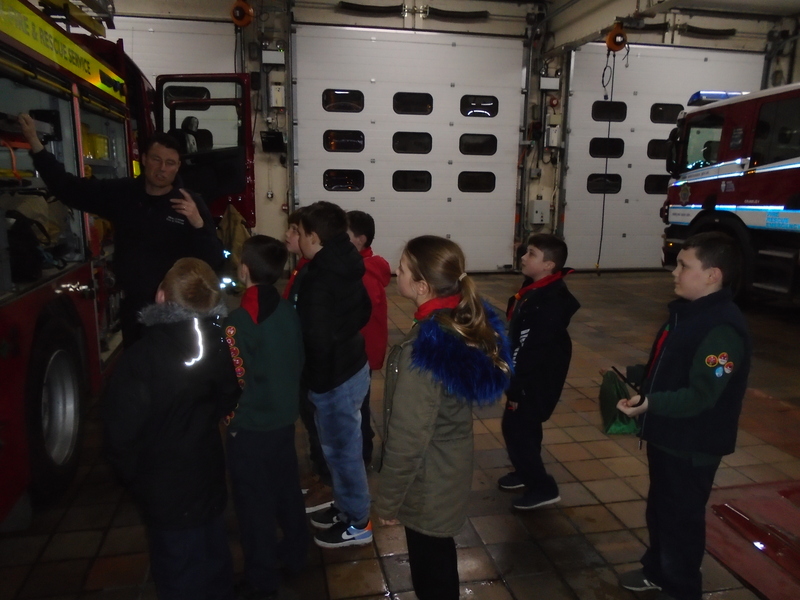 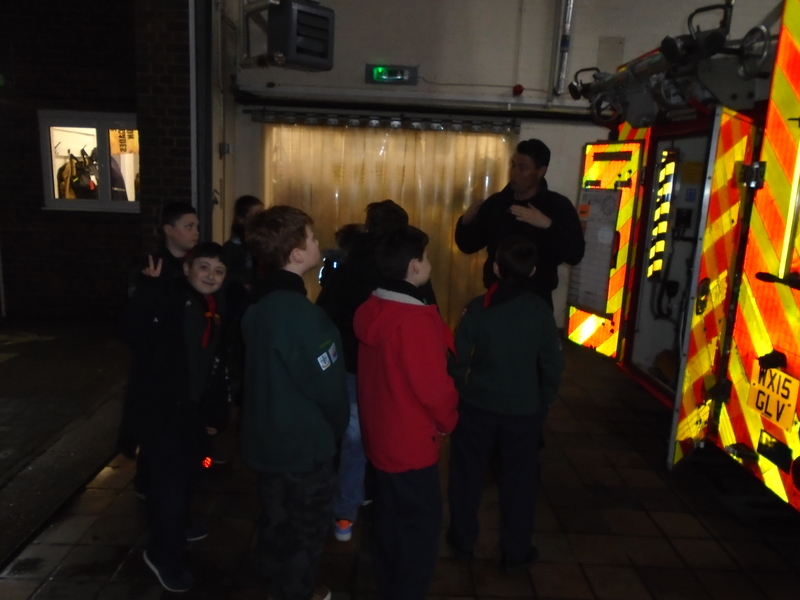 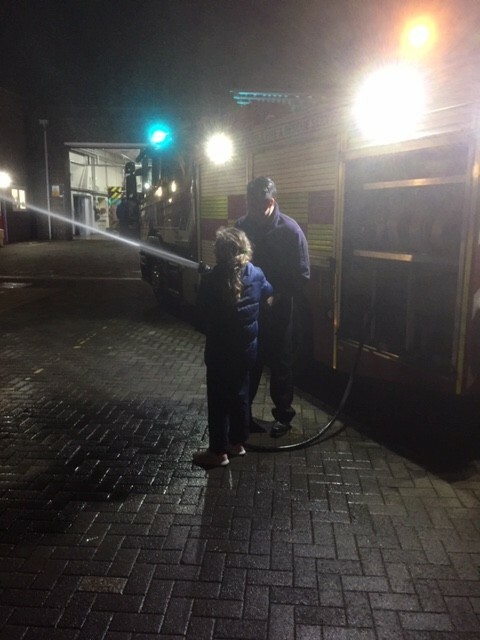 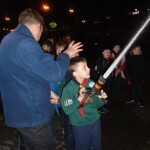 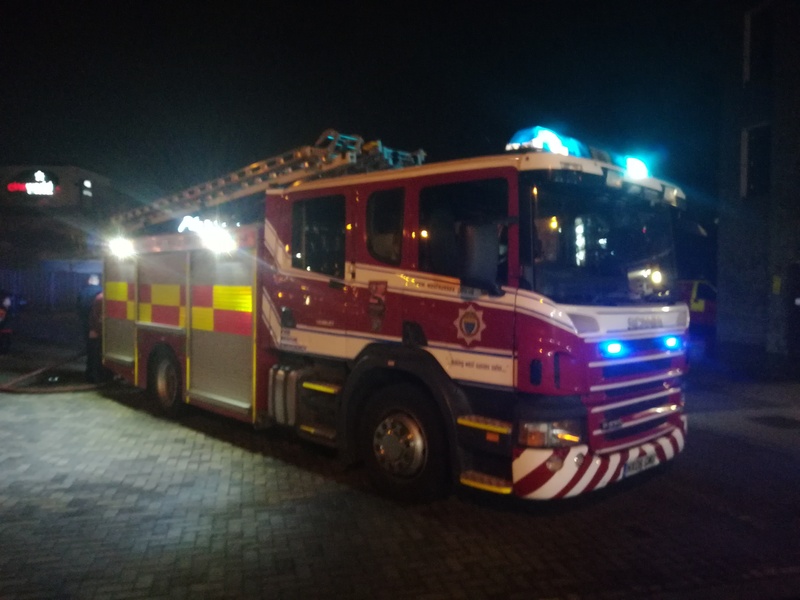 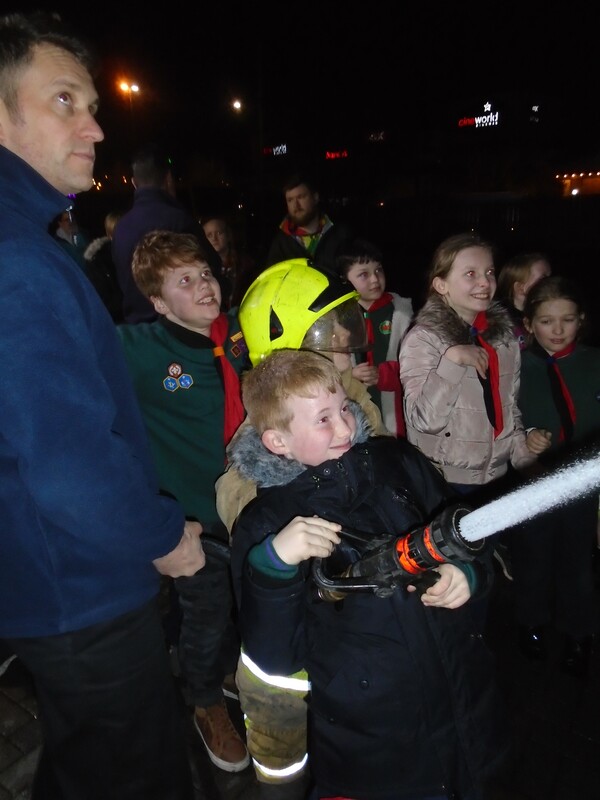 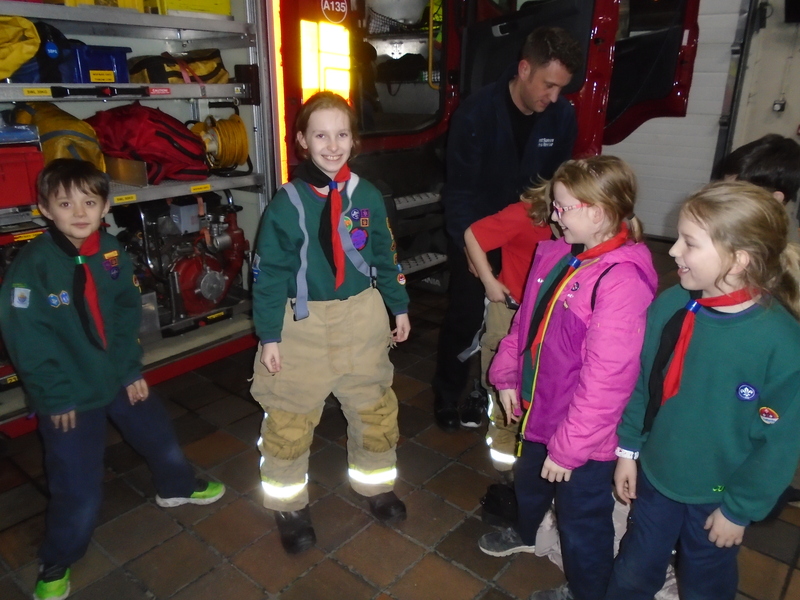 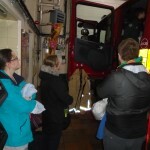 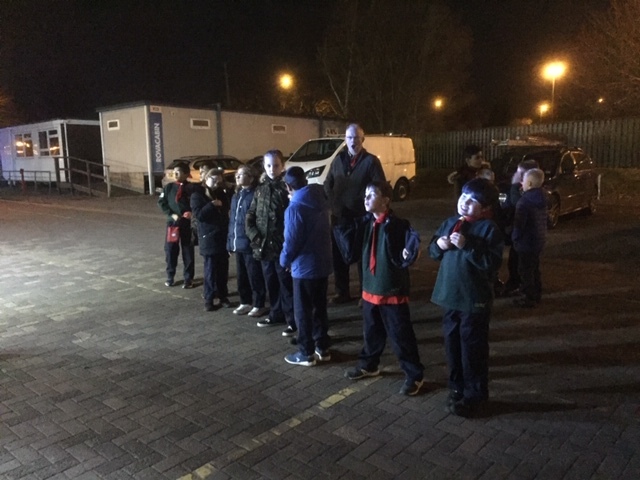 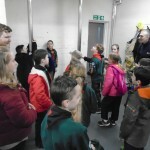 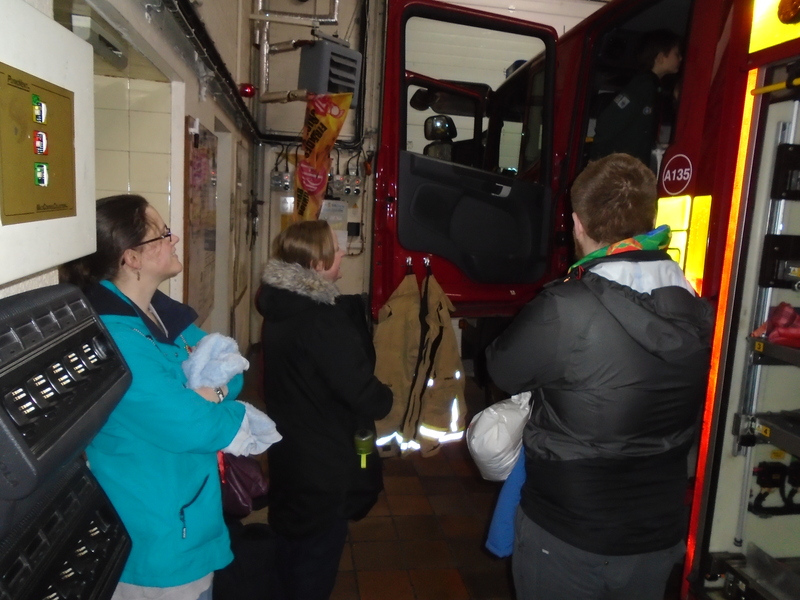 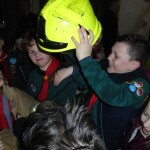 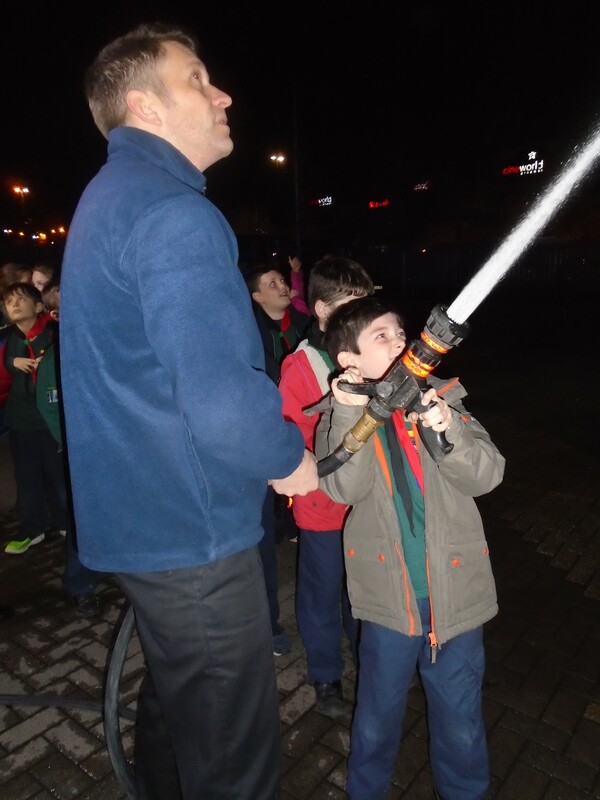 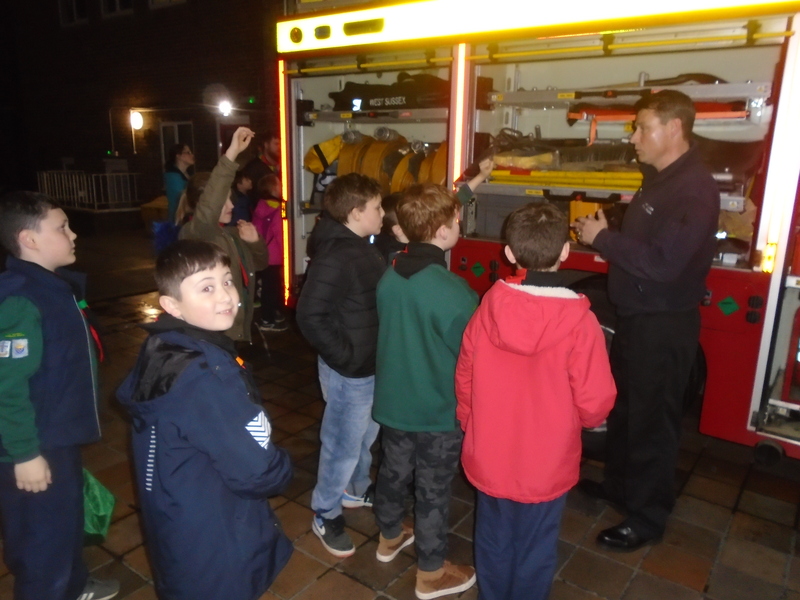 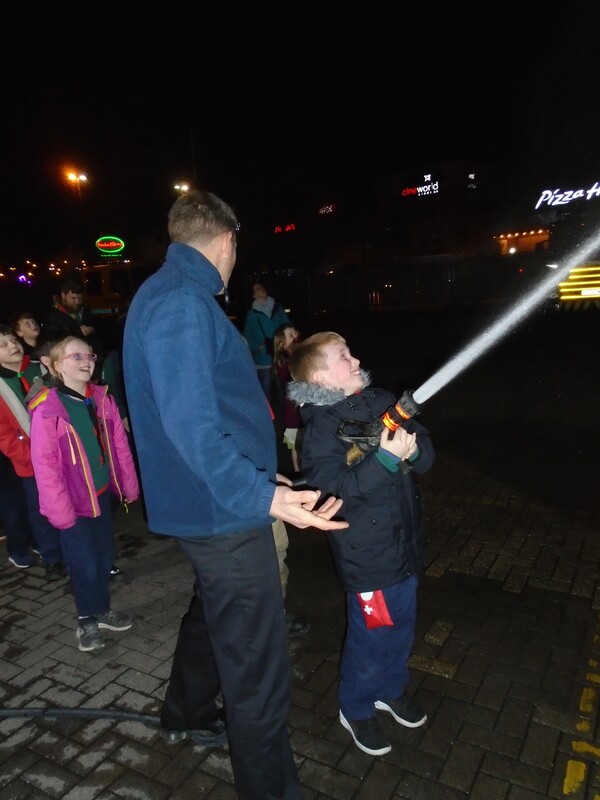 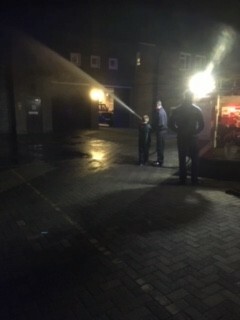 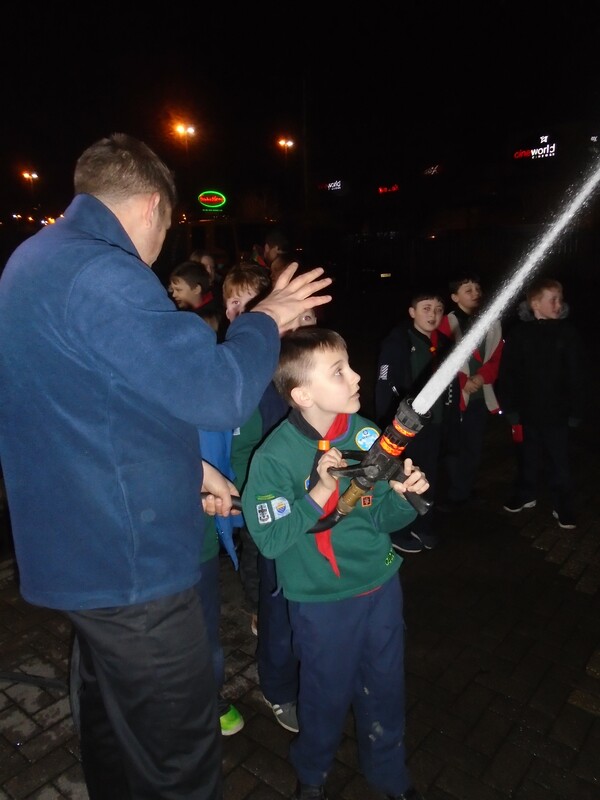 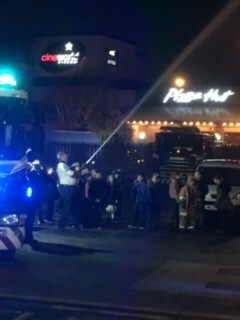 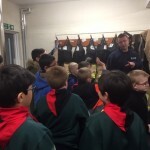 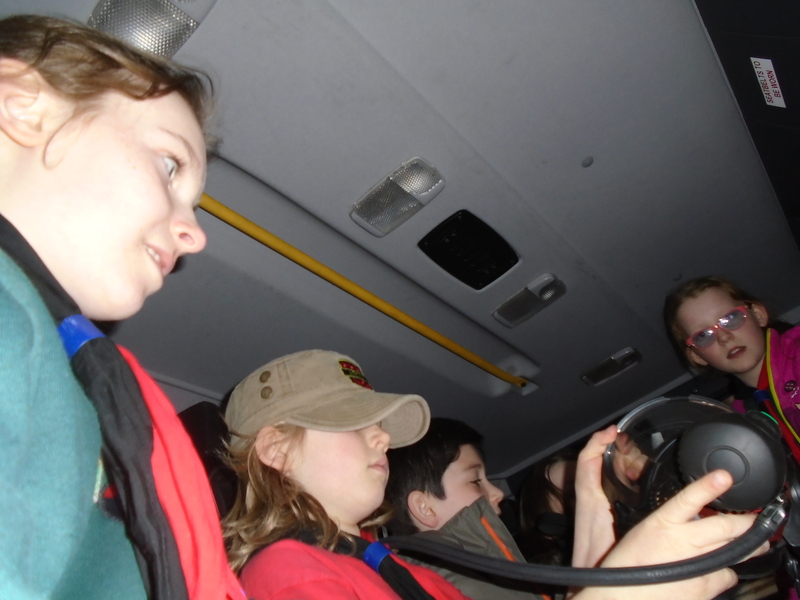 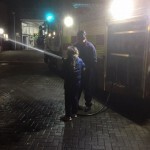 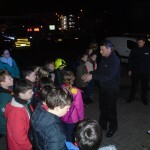 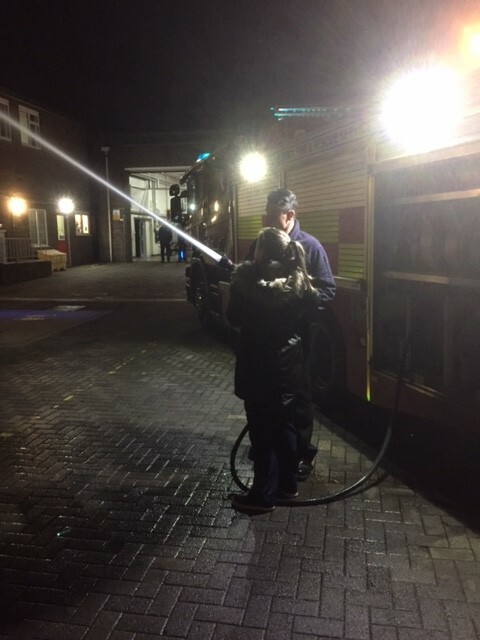 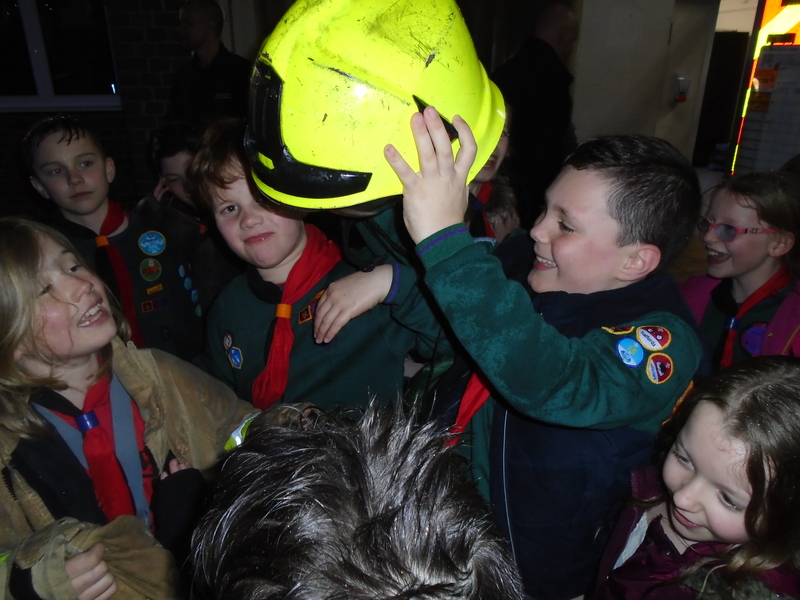 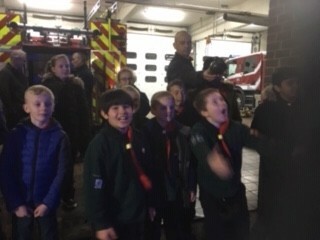 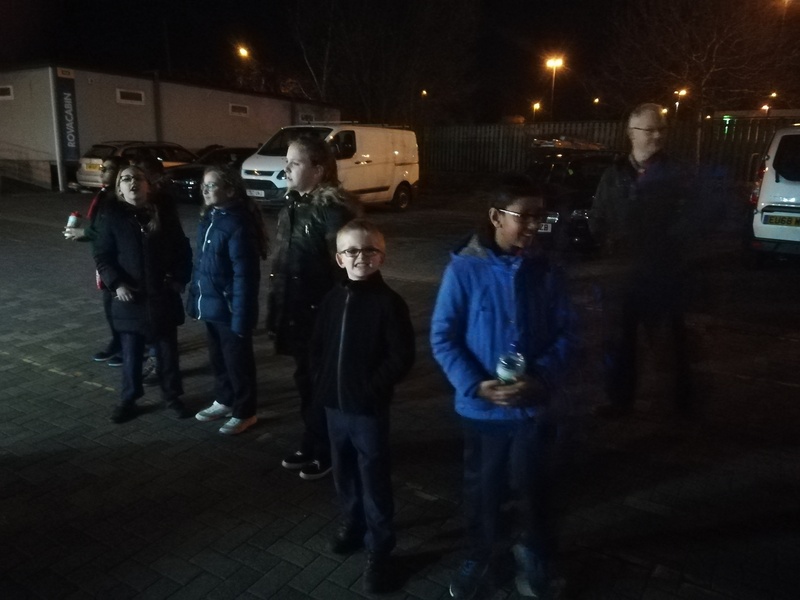 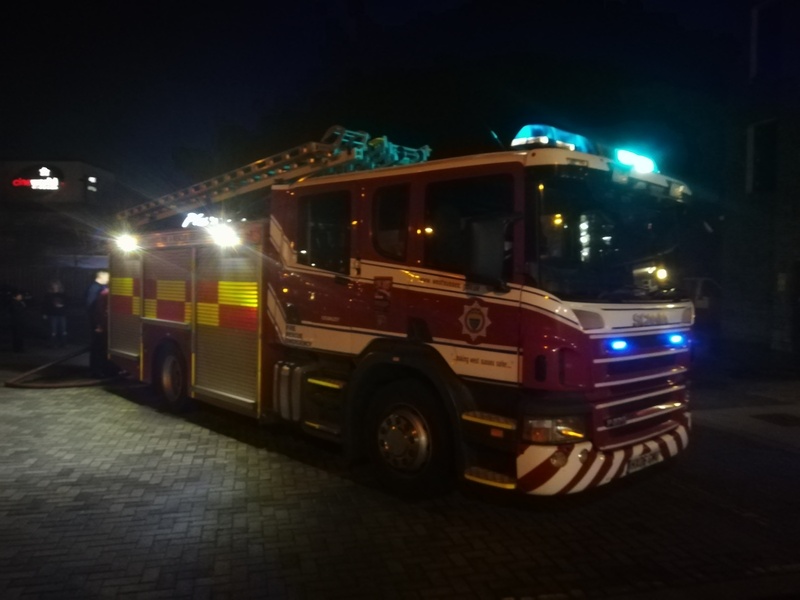 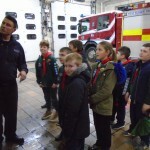 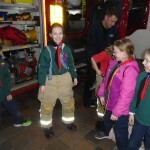 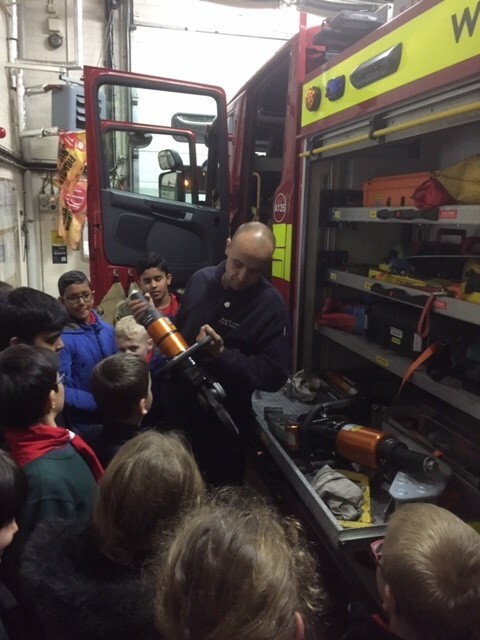 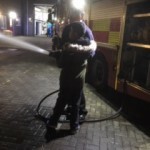 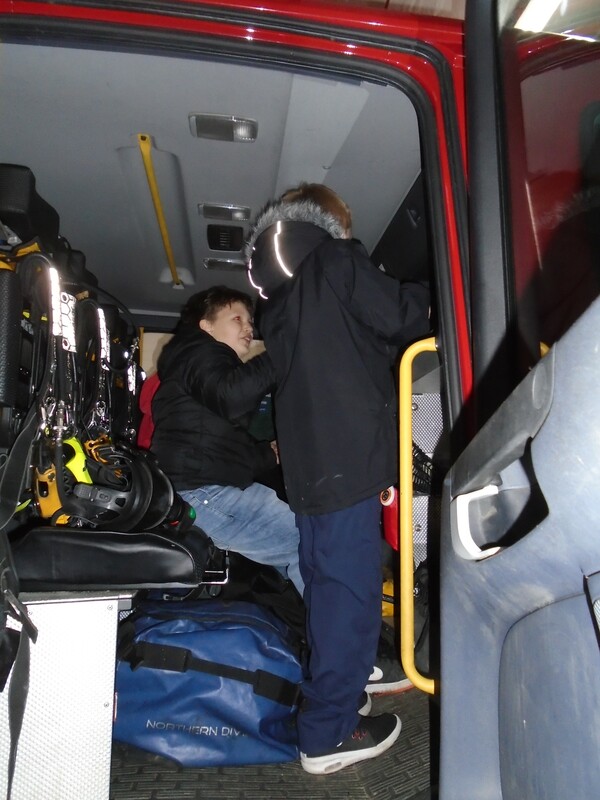 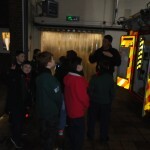 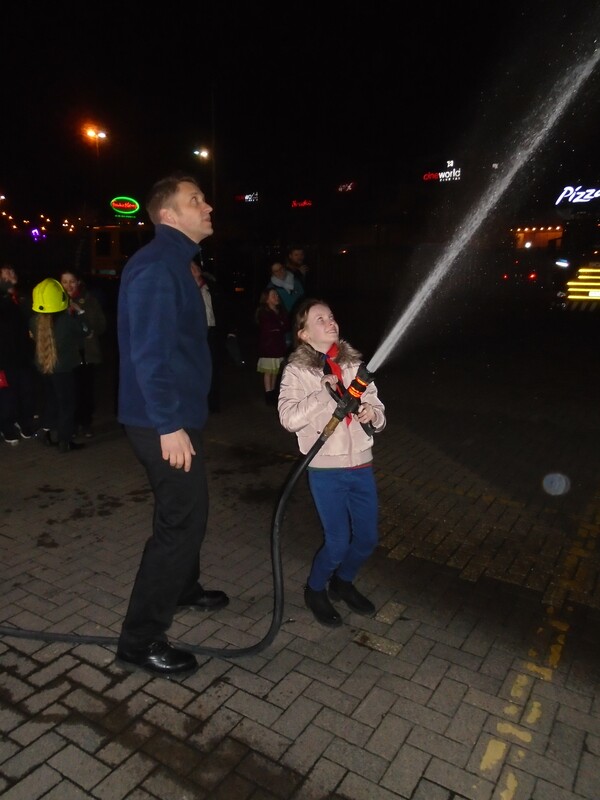 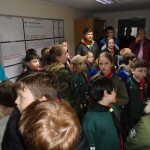 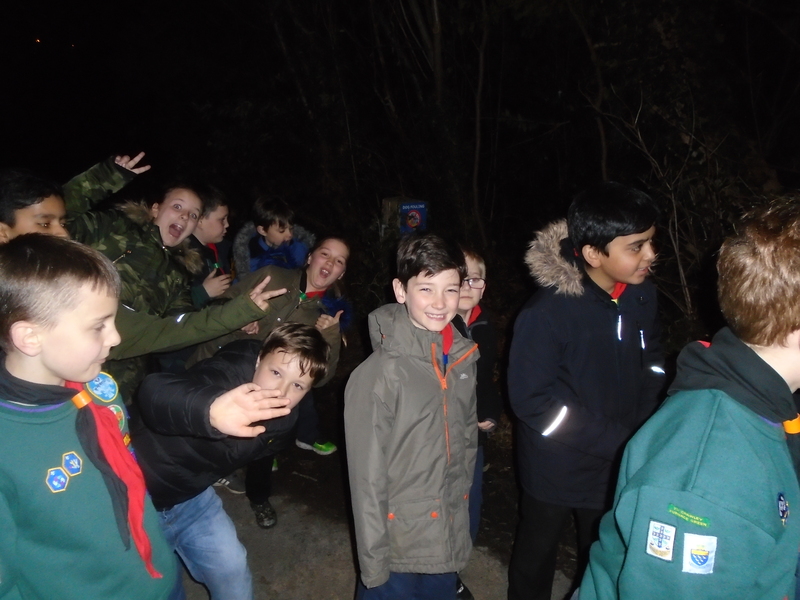 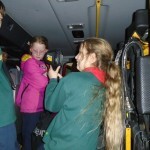 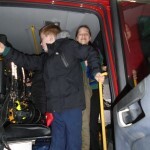 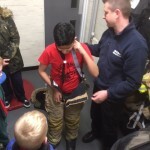 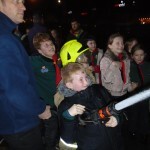 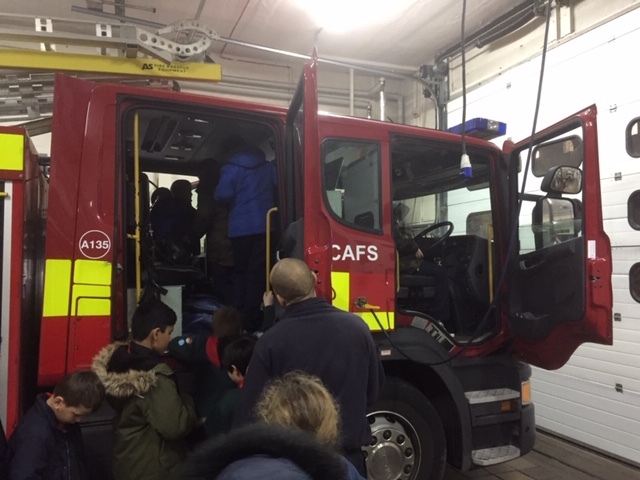 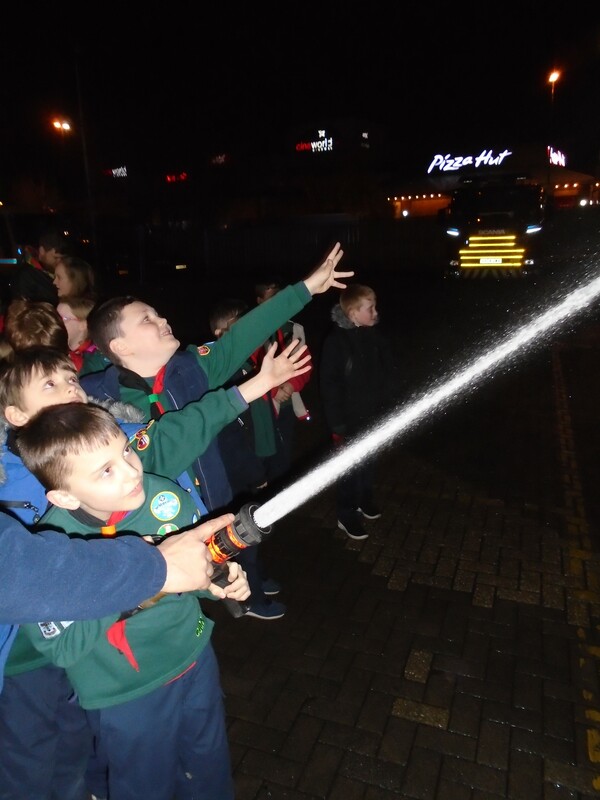 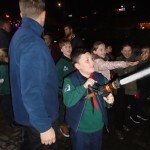 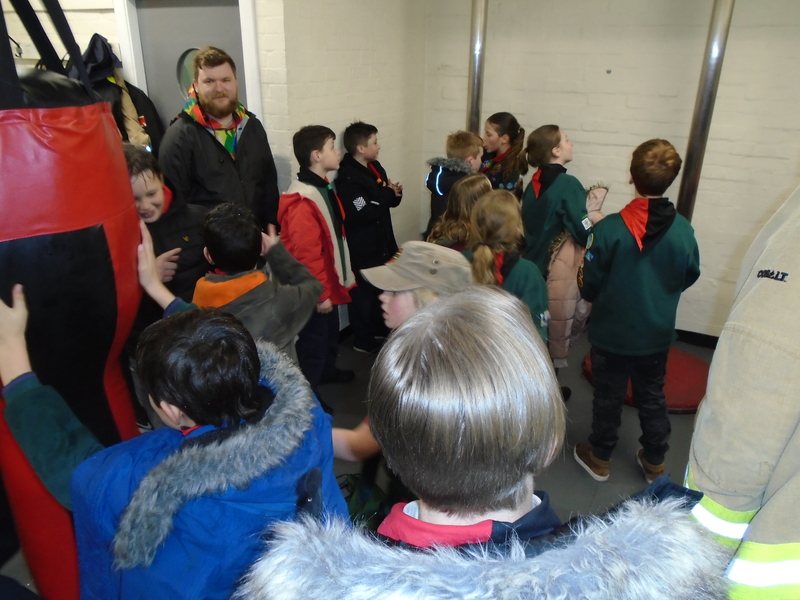 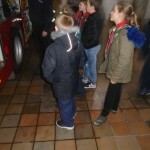 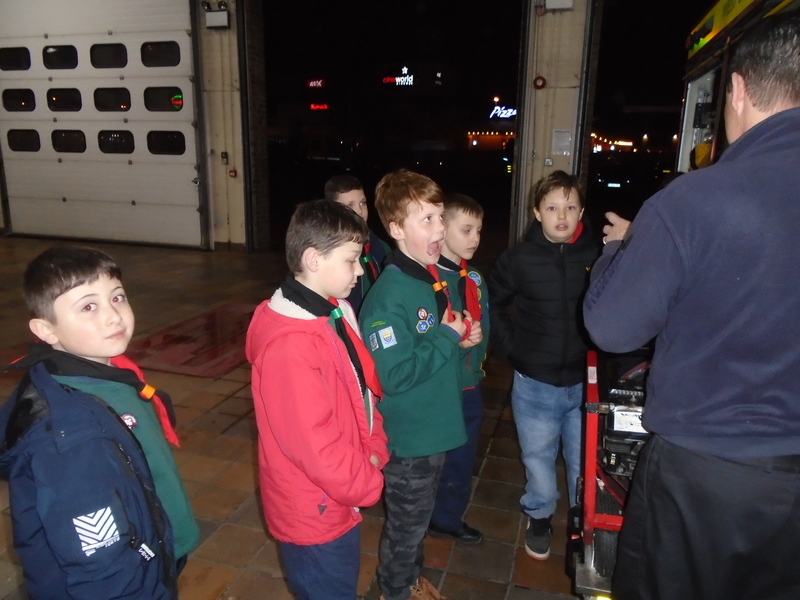 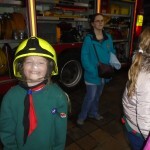 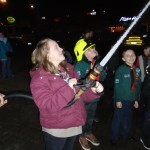 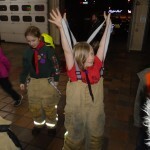 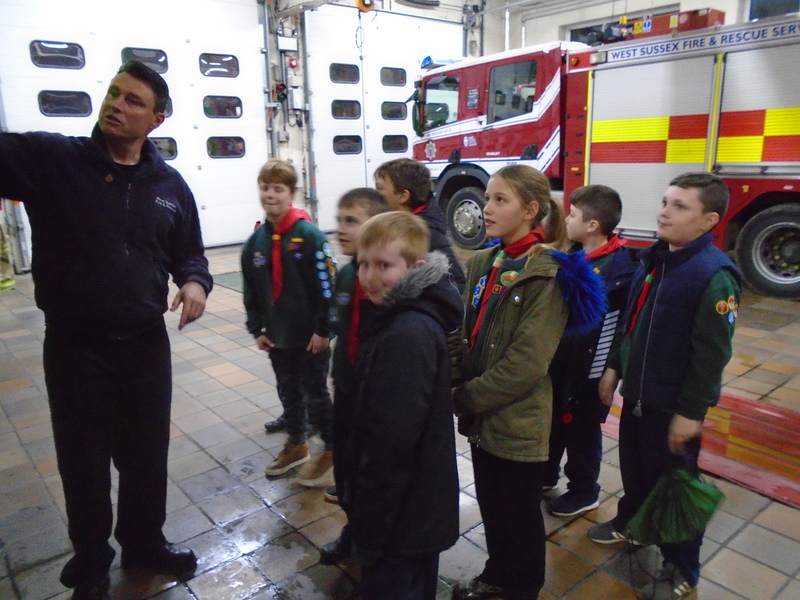 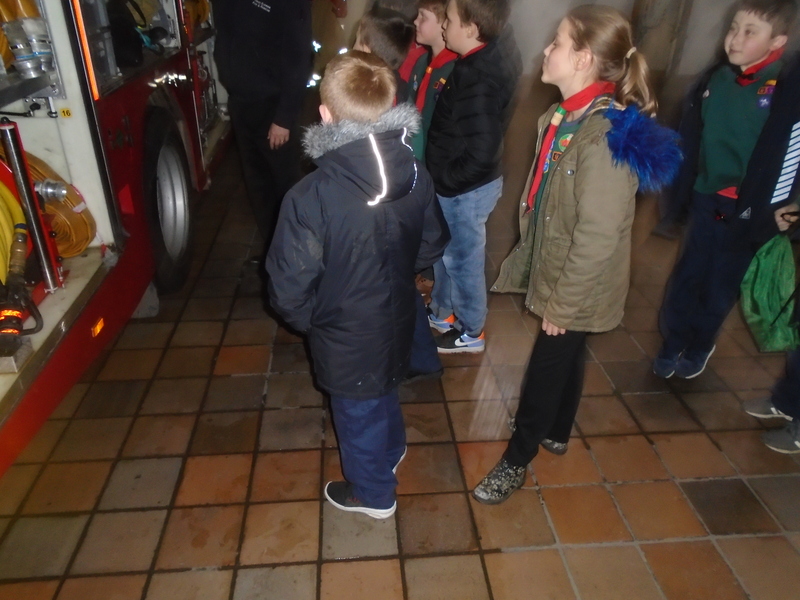 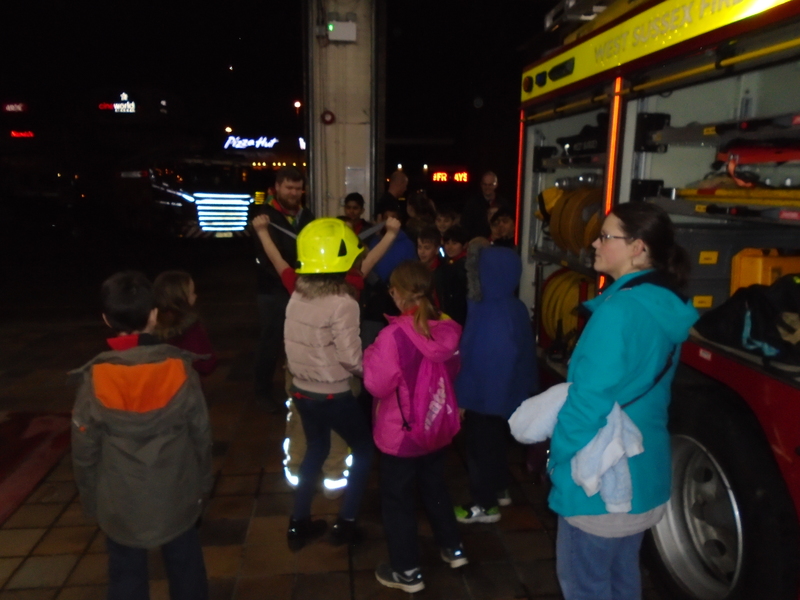 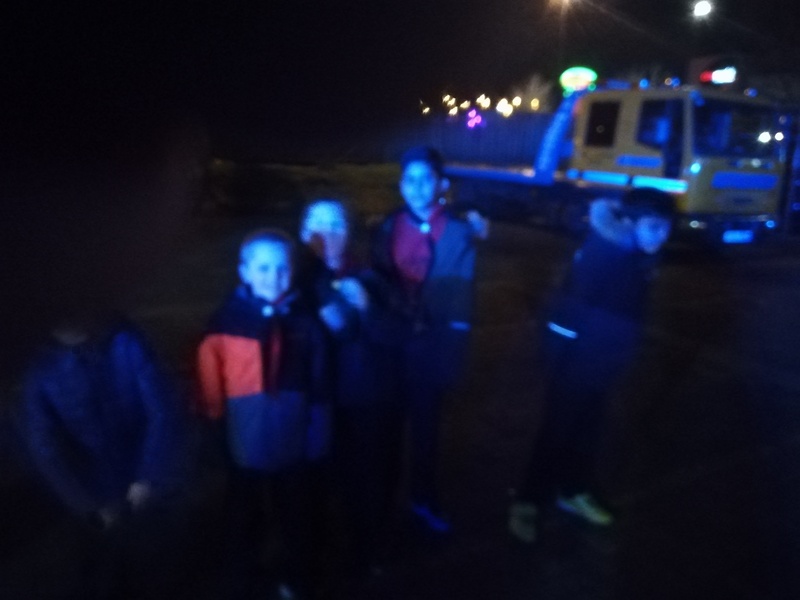 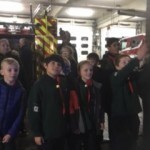 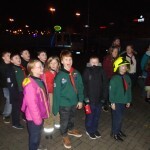 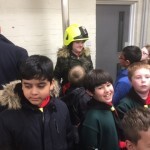 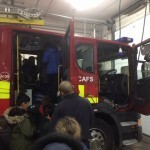 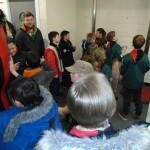 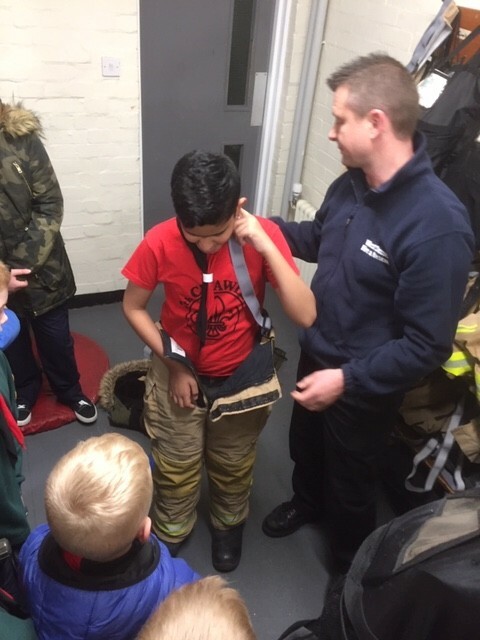 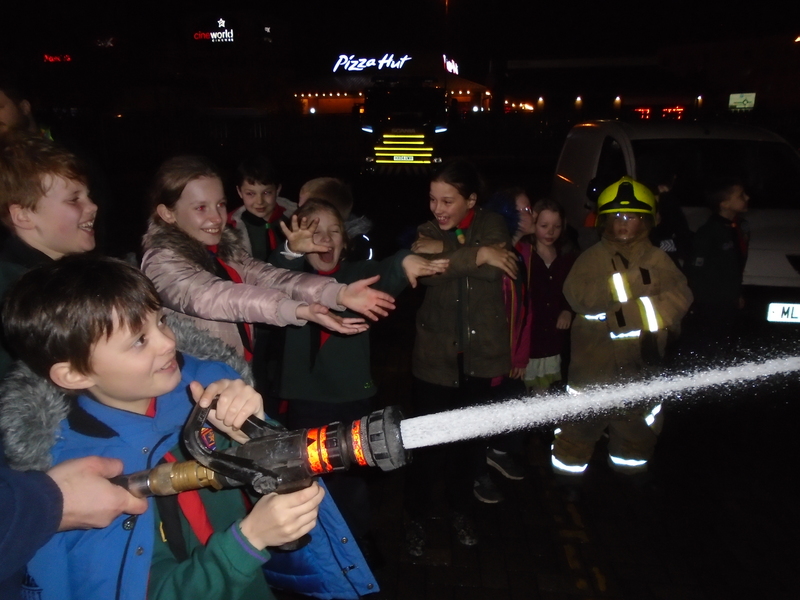 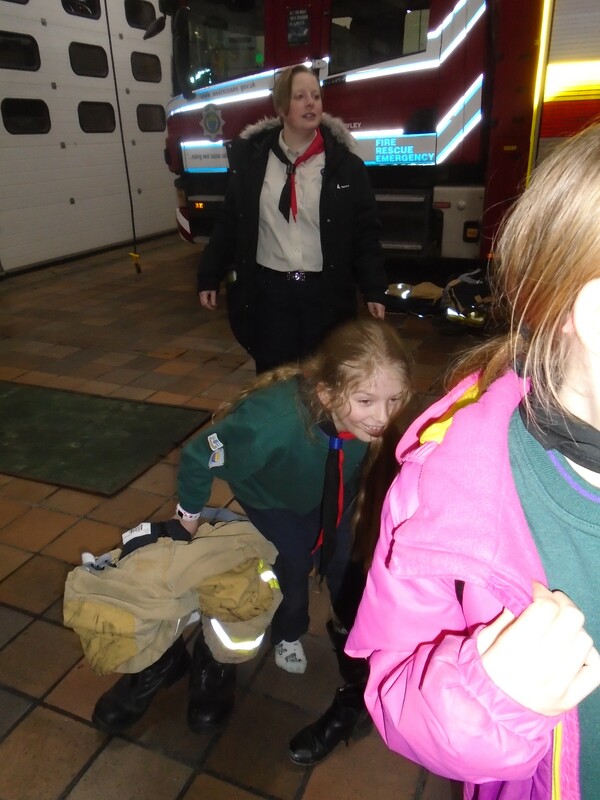 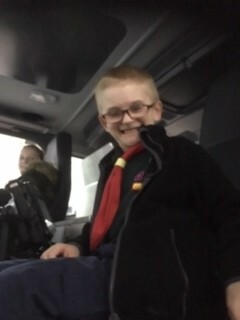 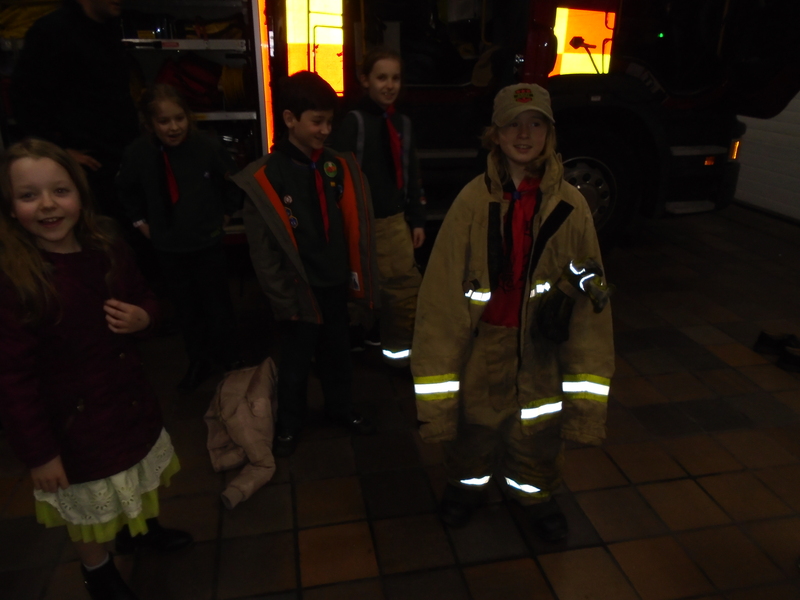 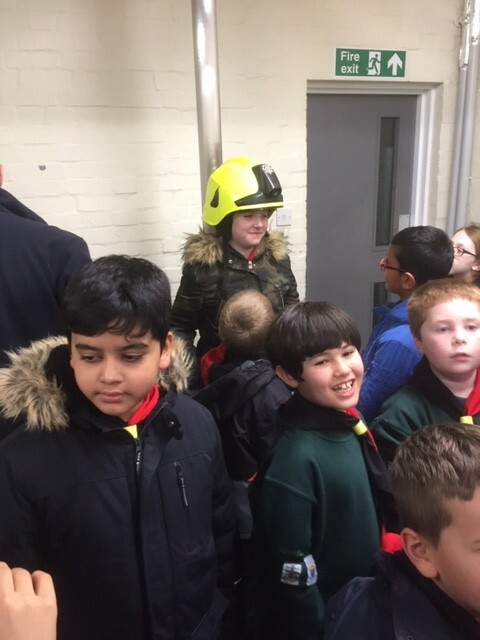 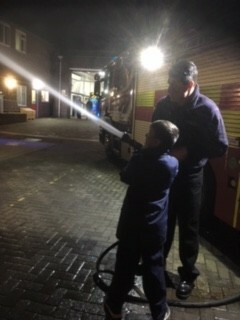 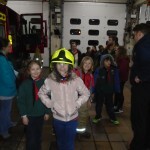 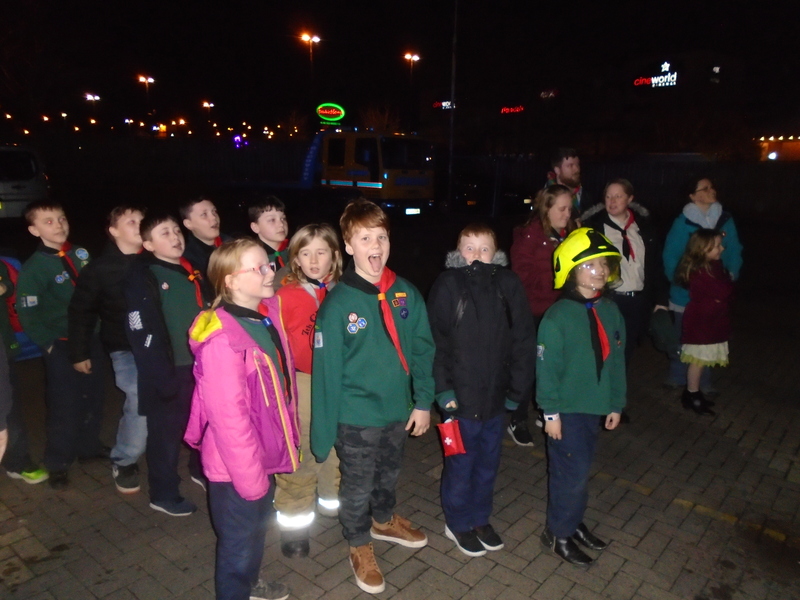 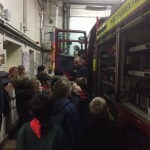 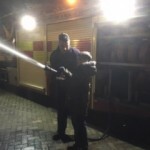 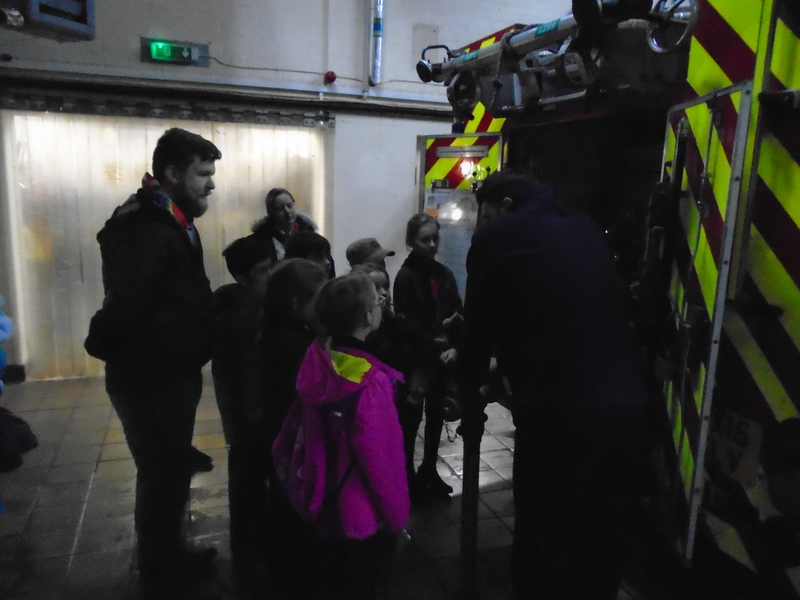 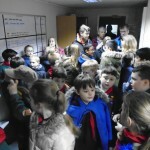 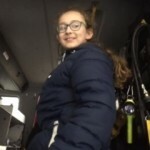 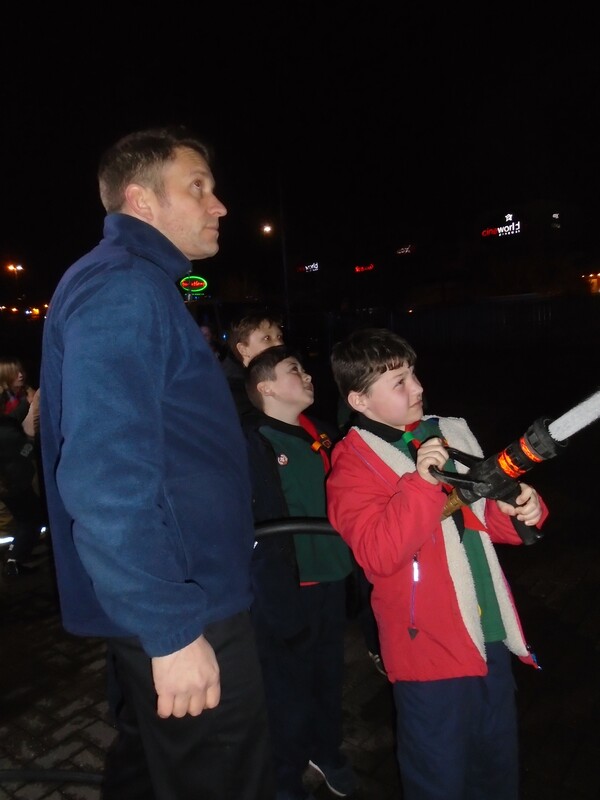 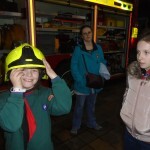 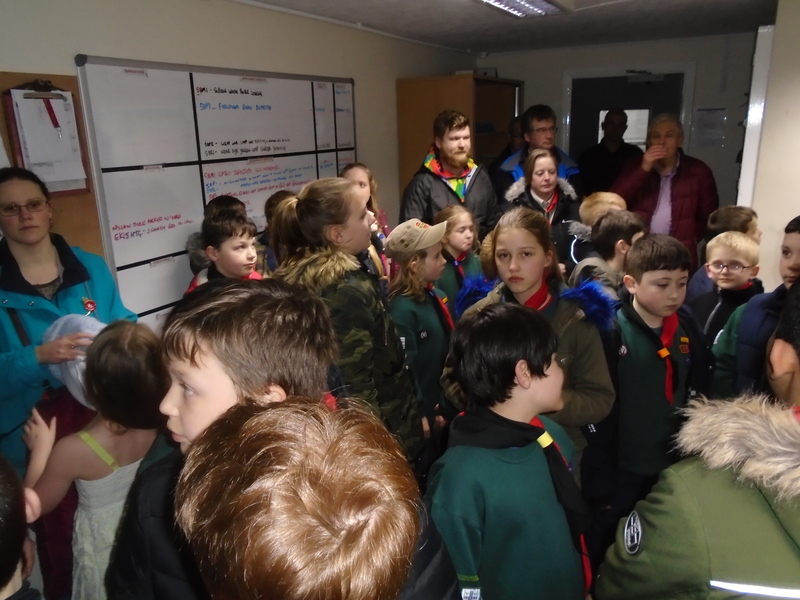 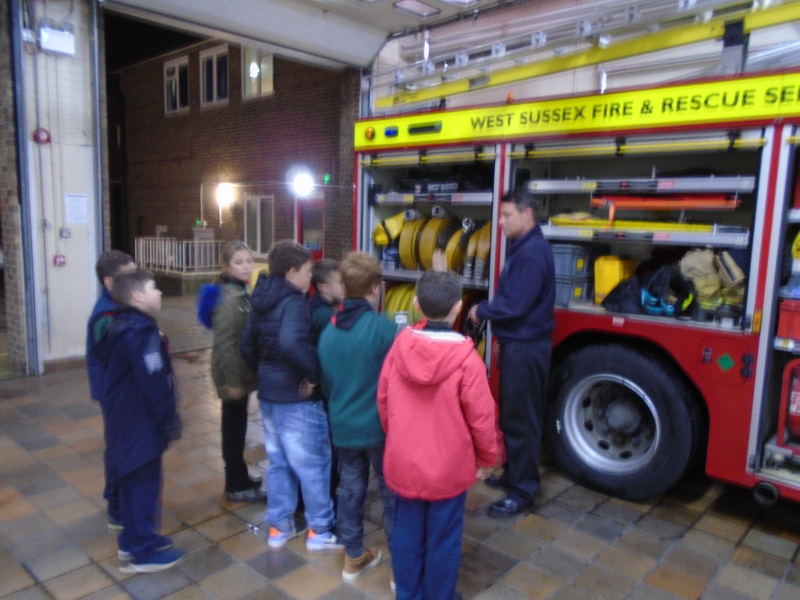 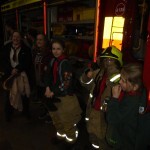 Tonight the Cubs completed the work that they have been undertaking towards the FIRE SAFETY ACTIVITY BADGE by having an amazing, informative and thoroughly enjoyable visit to the Crawley Fire Station. 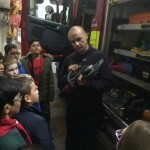 Our sincere thanks to all the members of BLACK WATCH for being such great hosts! 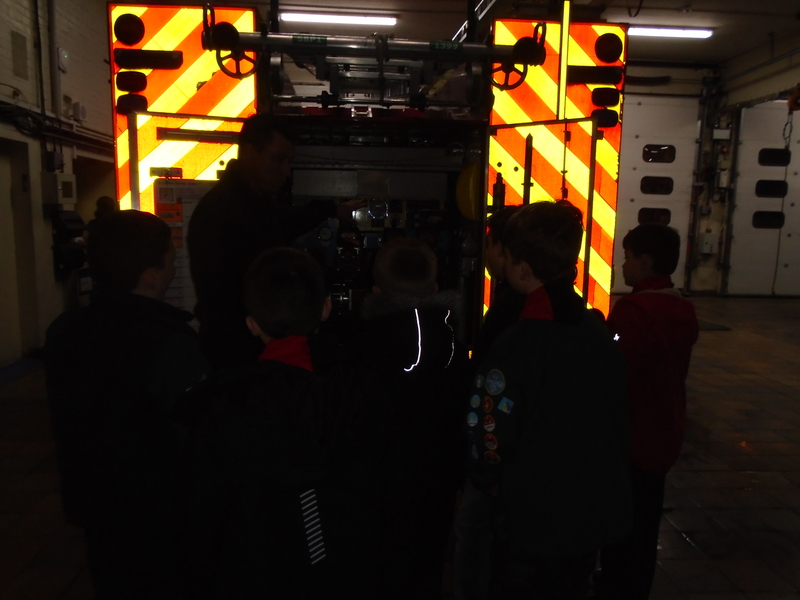 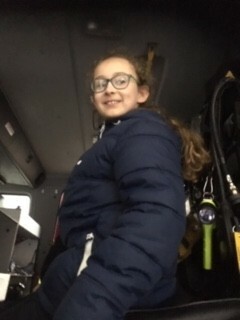 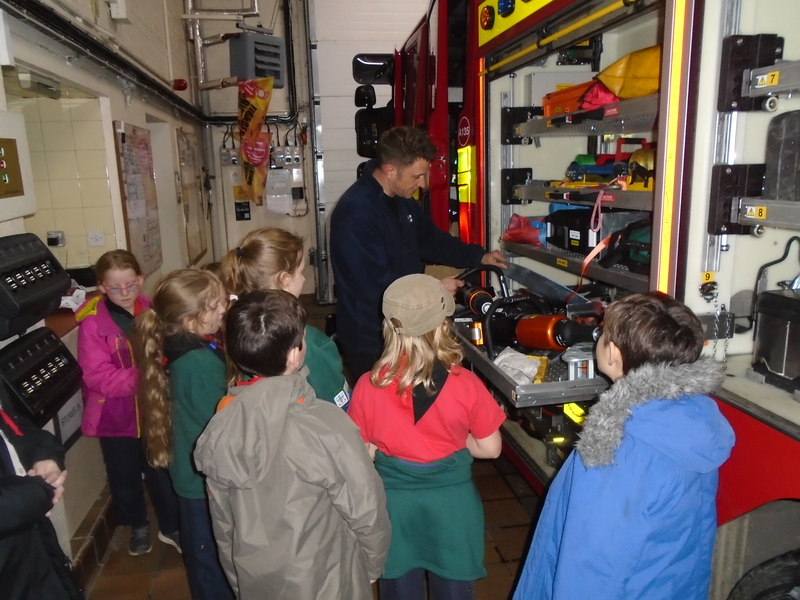 A tour of the station, chatting to the crew, discussing operations, looking at a huge array of equipment and finishing (with the best bit!!) 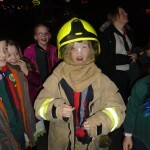 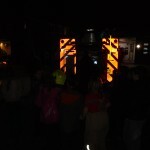 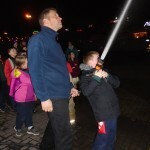 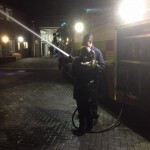 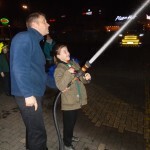 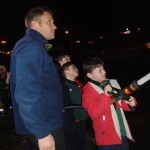 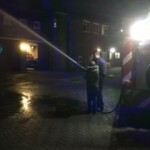 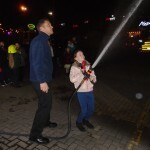 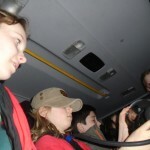 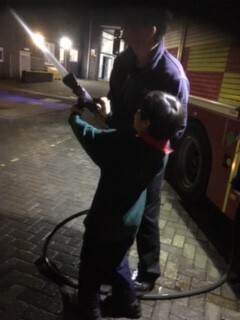 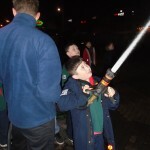 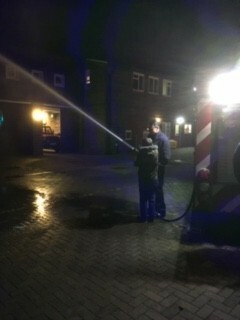 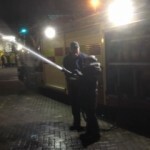 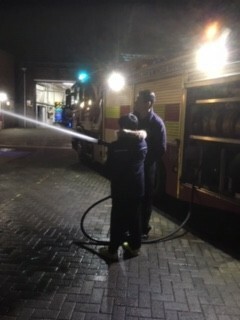 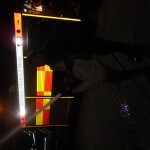 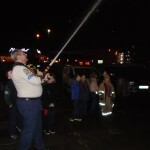 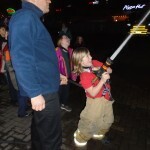 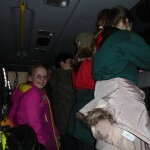 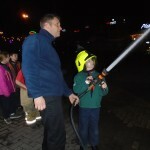 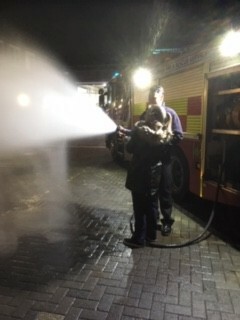 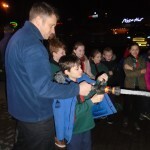 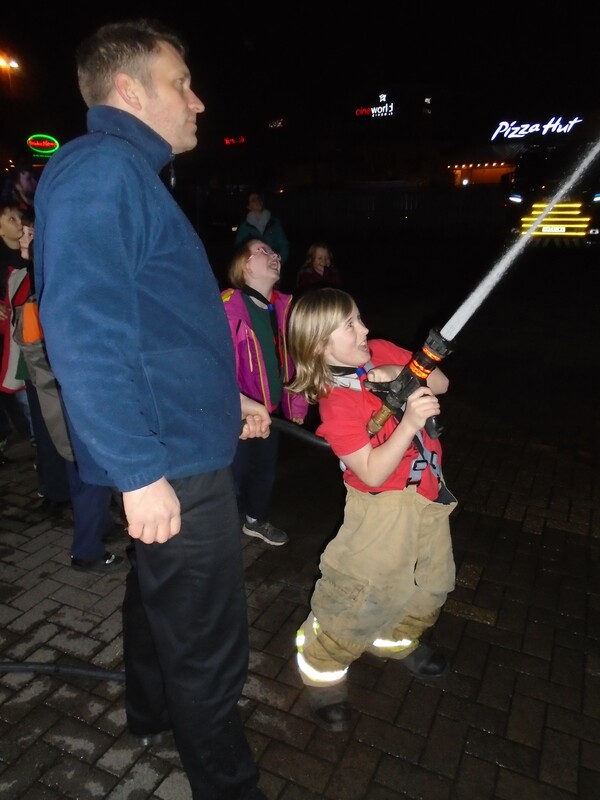 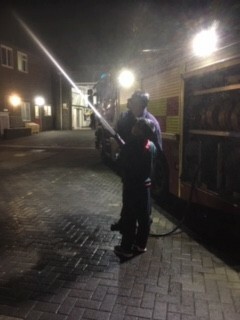 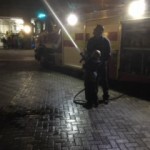 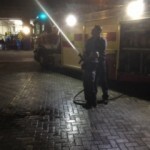 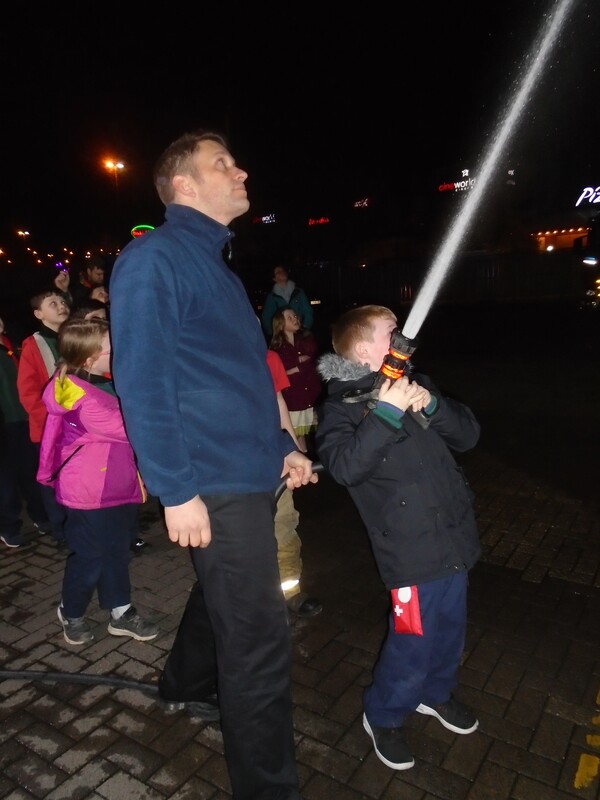 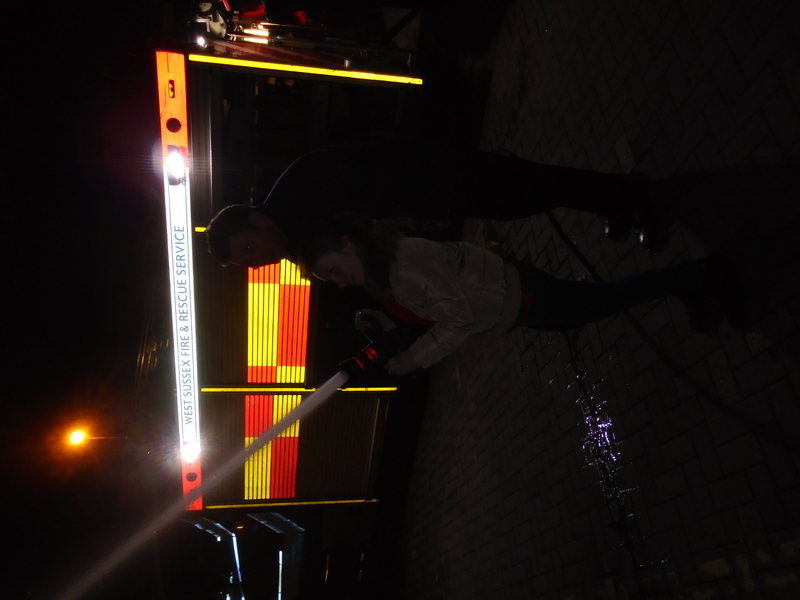 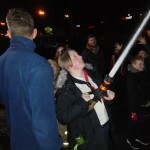 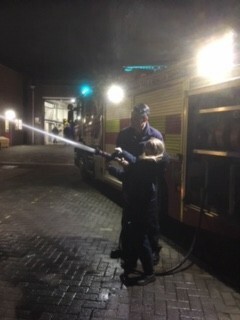 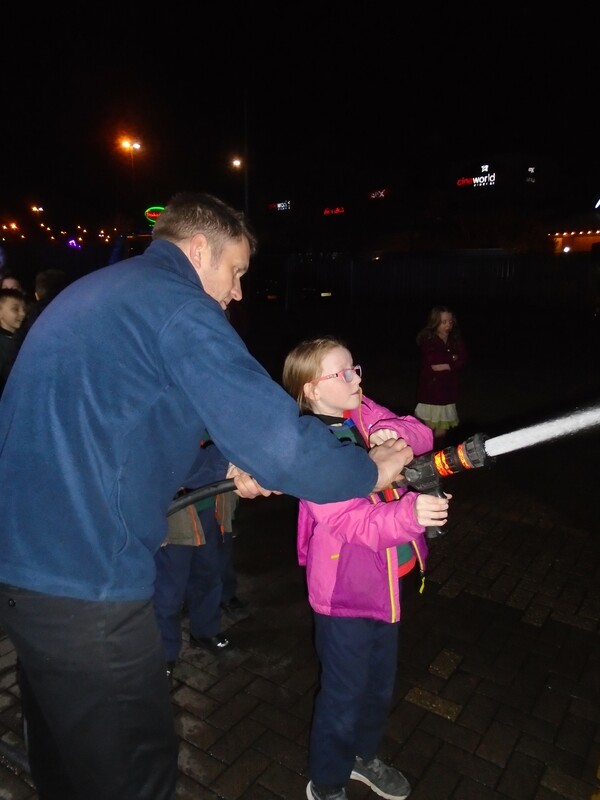 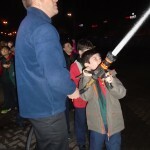 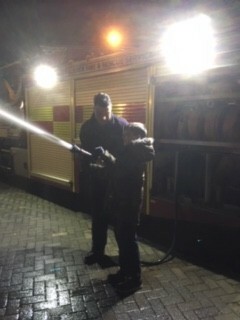 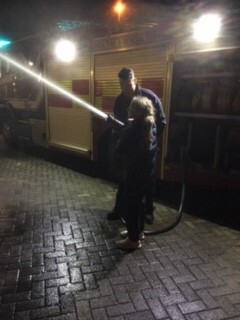 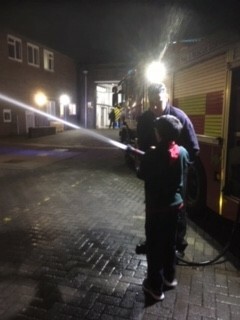 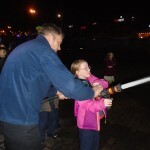 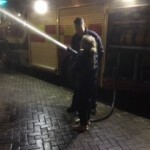 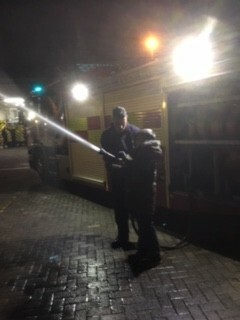 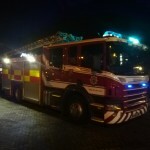 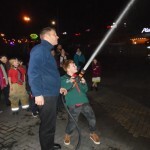 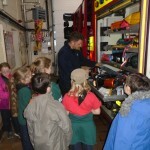 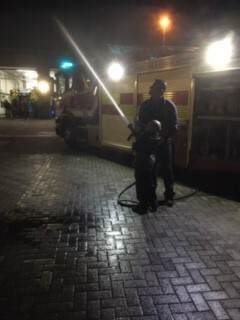 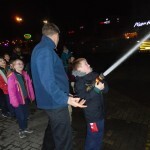 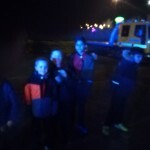 having a go with a real fireman’s hose sending a forceful jet of (believe me, very cold!) 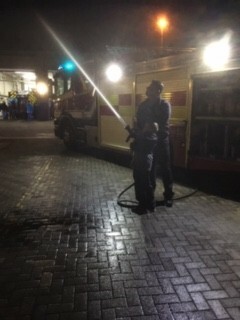 water 60 feet plus up the side of the tower within the confines of the station. 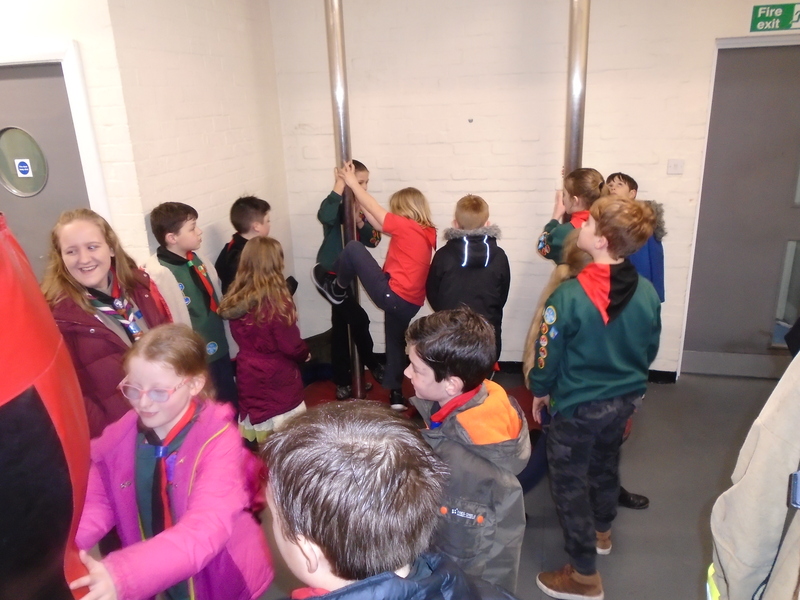 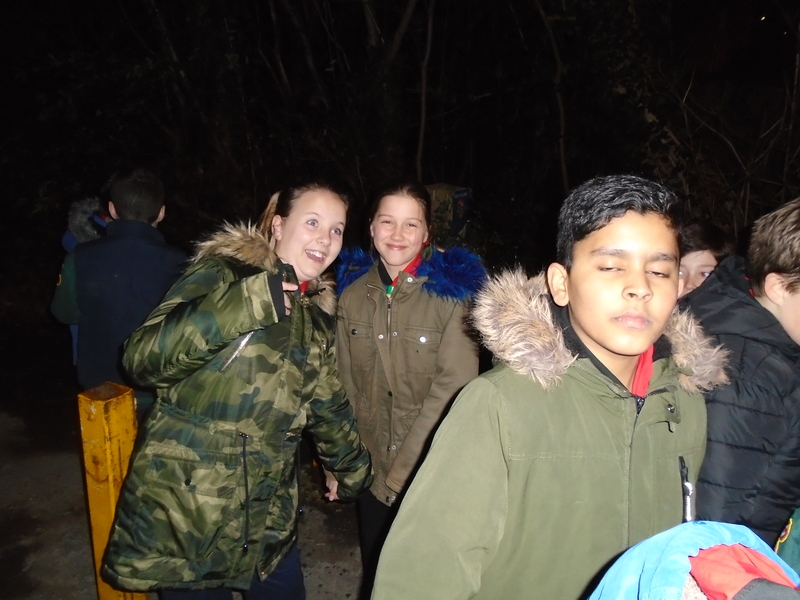 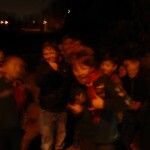 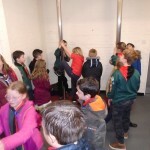 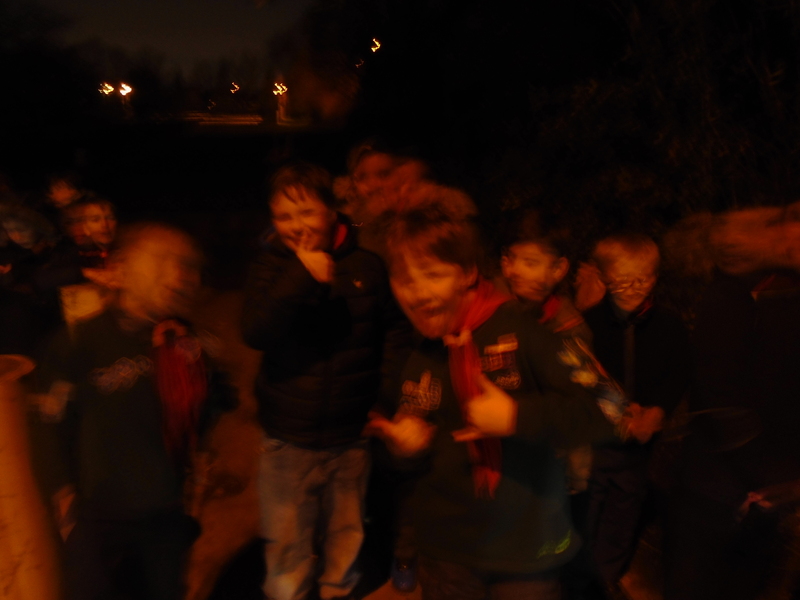 My sincere apologies to some parents who, instead of collecting their Cubs at the end of the evening, took home a host of “drowned rats”. 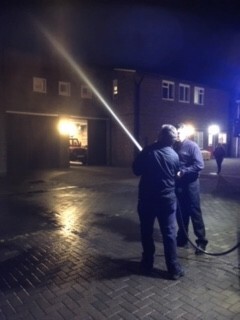 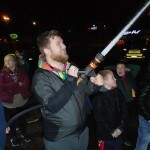 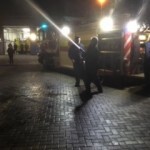 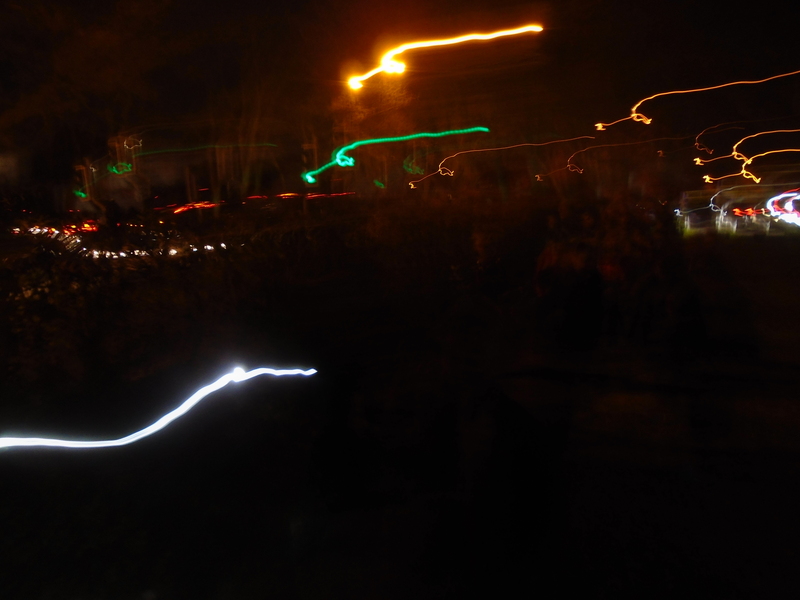 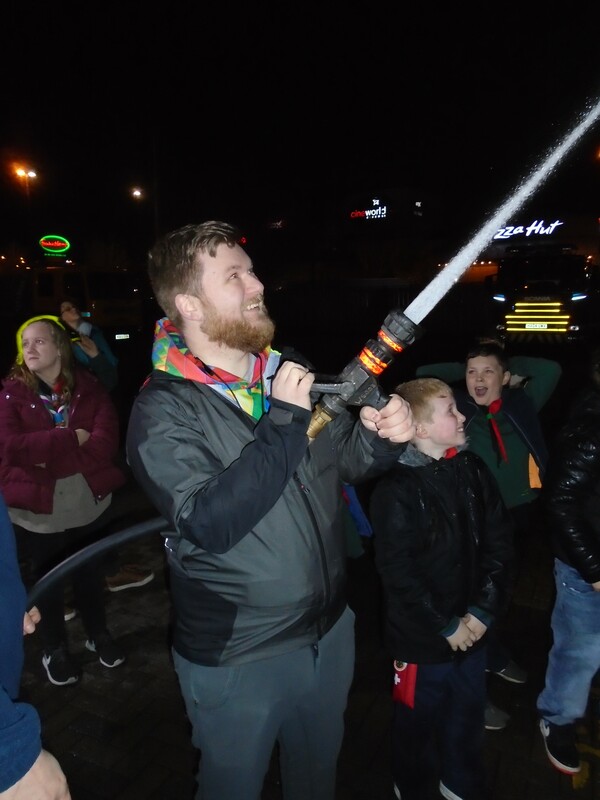 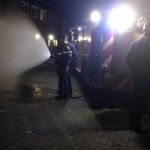 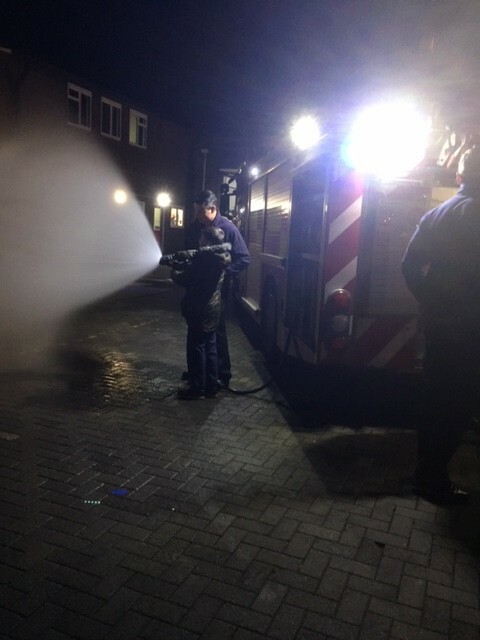 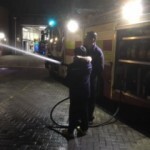 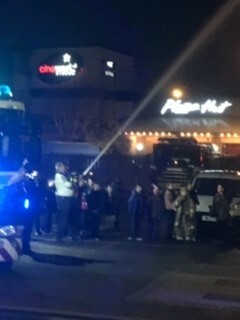 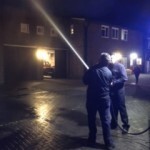 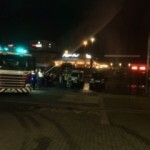 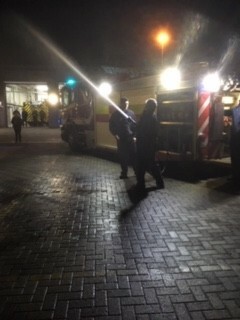 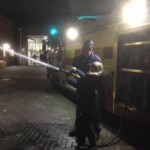 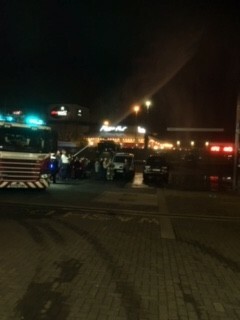 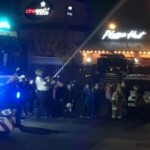 This was due to one extremely irresponsible leader (who shall remain nameless but their photograph does appear in one of the photographs below) being let loose on the hose and remembering, with mixed feelings, the amount of water he (Woops!) 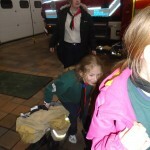 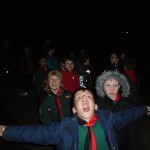 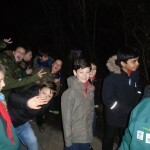 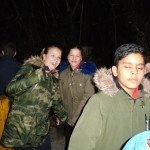 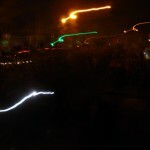 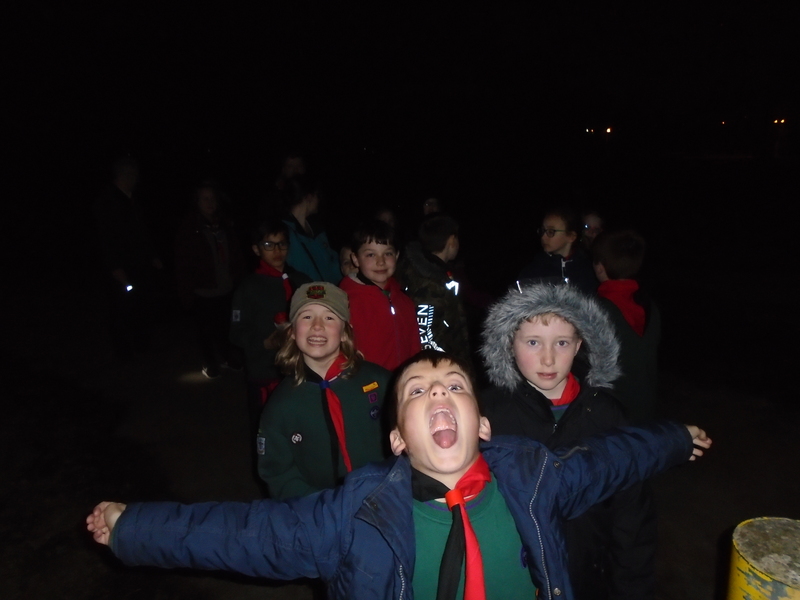 “they” had to endure at the hands of the cubs during last years camp!